Travel Hunter Valley & Sydney, Australia - Eat, Drink & Explore! - Live. Love. Laugh. Food. 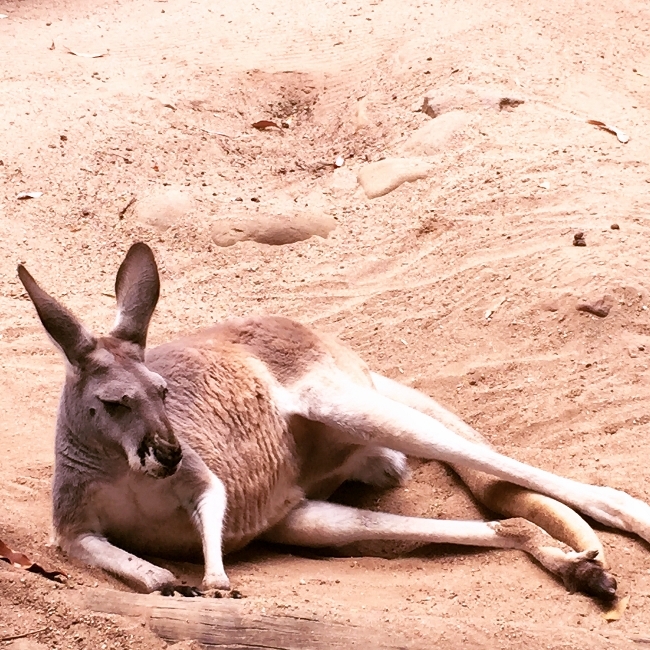 We just returned from a two+ week vacation in Australia and I must say, it was lovely. 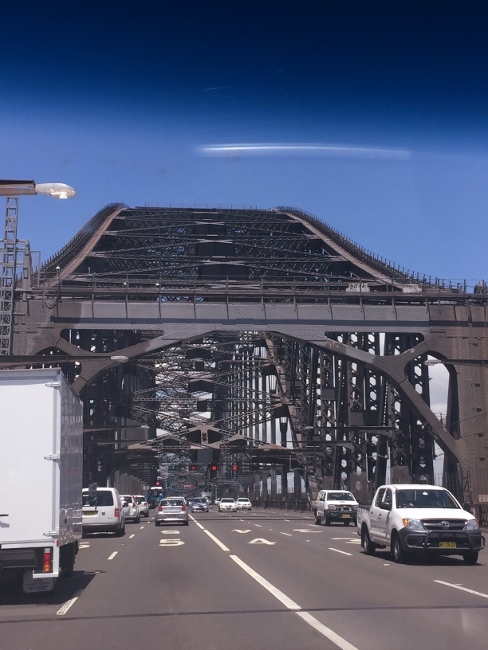 Our last stop was in Sydney, where we first visited Hunter Valley, for a few days in the wine country. We had been to Hunter Valley fourteen years ago, while we were on our honeymoon and fell in love with the area and always wanted to return. Hunter Valley is two hours north of Sydney and is one of the oldest wine regions in Australia. 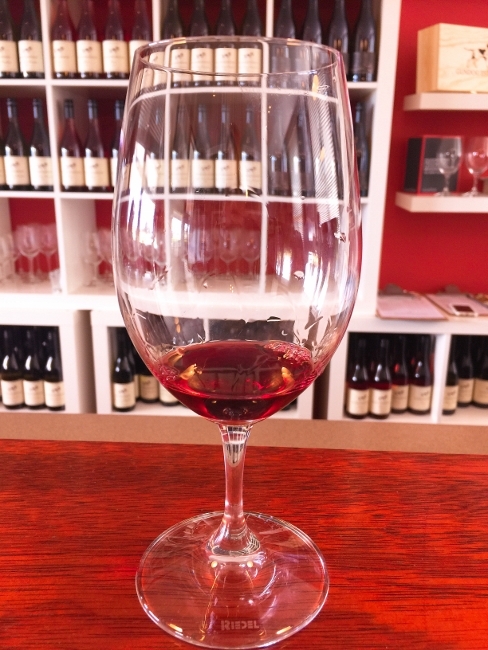 It currently has over 150 wineries, mainly focusing on Semillon and Shiraz, however many wineries are creating Pinot Noir, Sauvignon Blanc & other varietals with grapes purchased, from other parts of Australia. 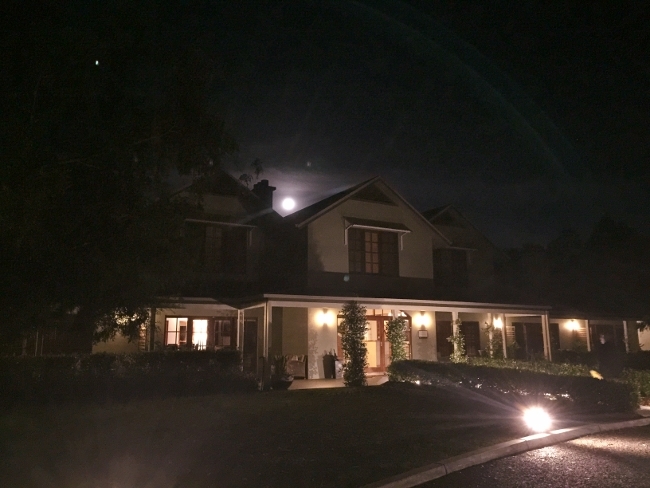 After checking into Spicer’s Vineyard Estate (check out the super moon above the Estate), we headed out for a wine tasting, before we unpacked and settled into our accommodations. 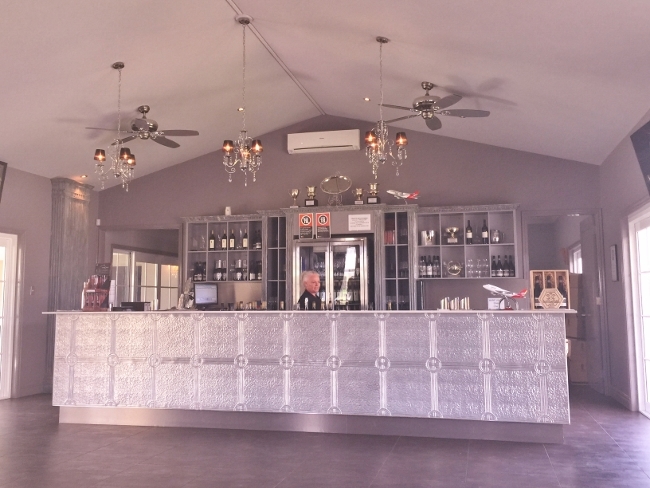 Our first winery in Hunter Valley was Keith Tulloch Wines. 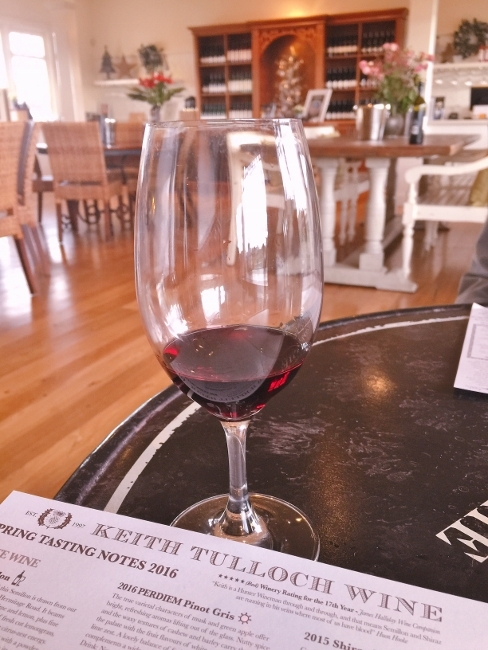 Keith is a fourth-generation wine maker focusing on Rhone style wines. 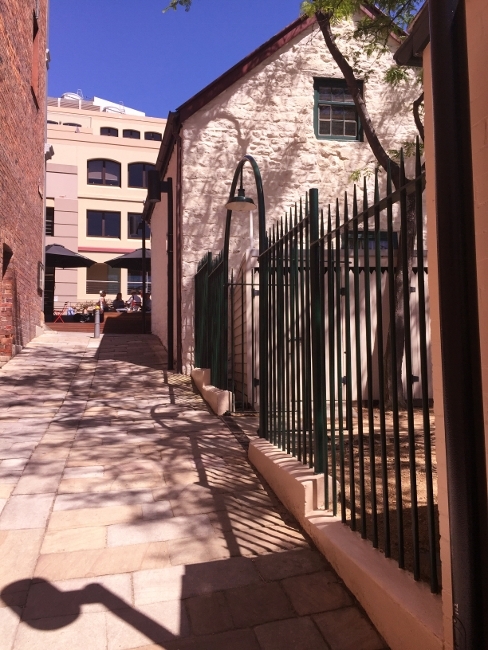 The property has a cellar door, private wine room and restaurant, Muse Kitchen, which is open for lunch on the weekends and dinner Wednesday through Saturday. 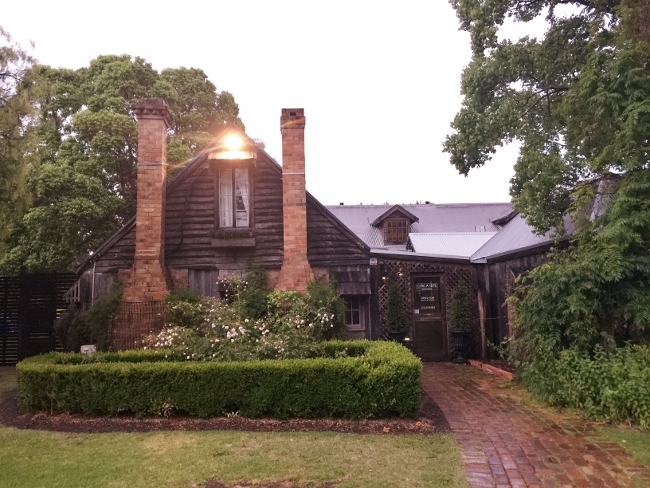 Our first dinner in Hunter Valley was at Circa 1876. The restaurant cottage was from the 1800’s (hence the name) and historically decorated inside, with crystal chandeliers and wood furnishings. The surrounding gardens were loaded with fresh vegetables, fruits and flowers, used in Chef Trent’s daily tasting menu. 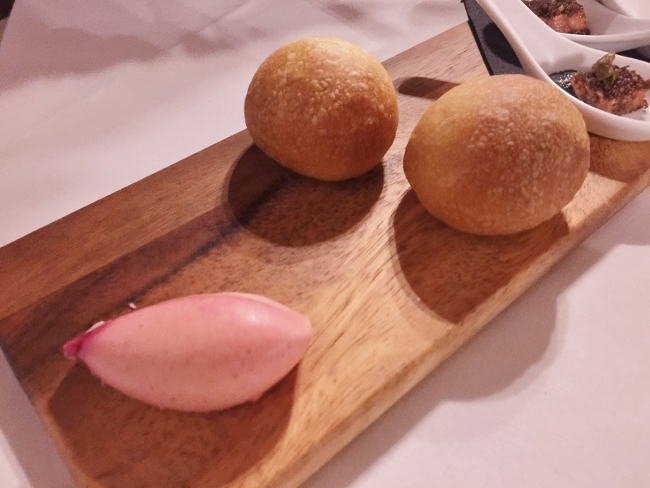 To begin, we sampled an amuse bouche of smoked fish and tapenade, but the Smoked Milk Rolls and Beet Butter were the star. 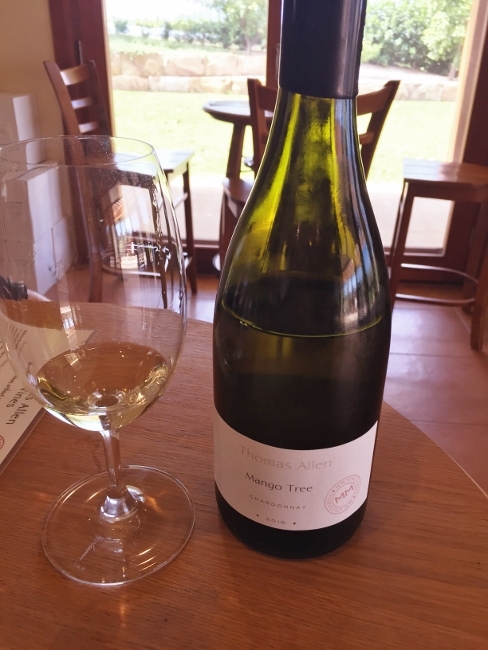 Getting an older bottle of wine in Hunter Valley, is a bit of a challenge because most of the wine is sold to locals or wine club members after bottling. We found that locals tend to drink much younger wine. 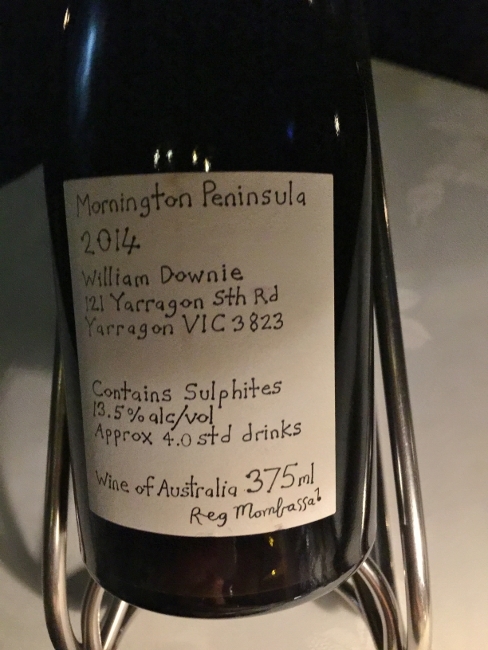 This was the oldest bottle on the list – 2012 Bordeaux blend, not from the Hunter, but South Australia. It was pretty tasty nice. Our first course, of Roasted Quail with Roasted Beets, Puree and Chips was outstanding. 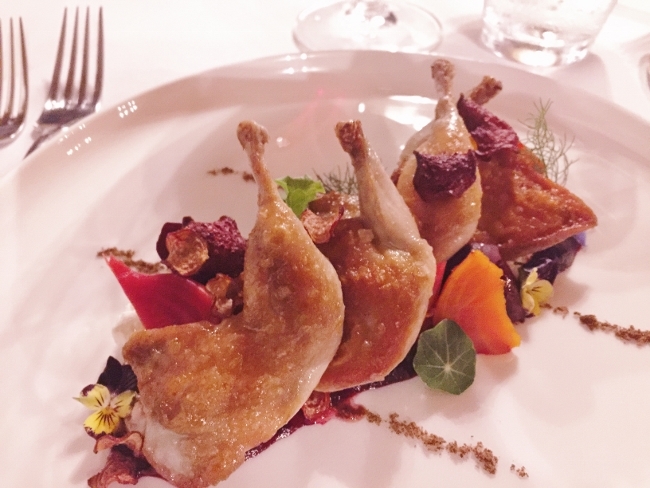 The flavors were seasonally fresh and the quail juicy and tender with a light crunchy skin. I love the use of edible flowers, delicious. 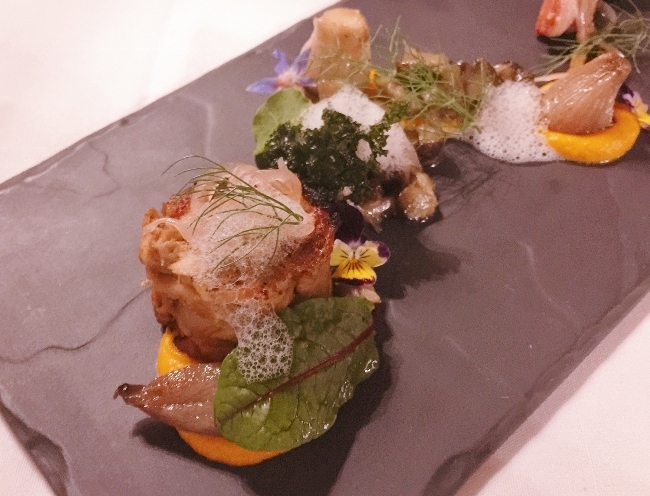 The Rabbit Confit with Squash Puree and Oyster Mushrooms was brilliant. The pulled meat was formed into a cylinder and seared for an extra crunchy crust. The contrasting sweet vegetable puree, made it even more fantastic. It was hard to top the starters, but the mains were pretty delightful too. 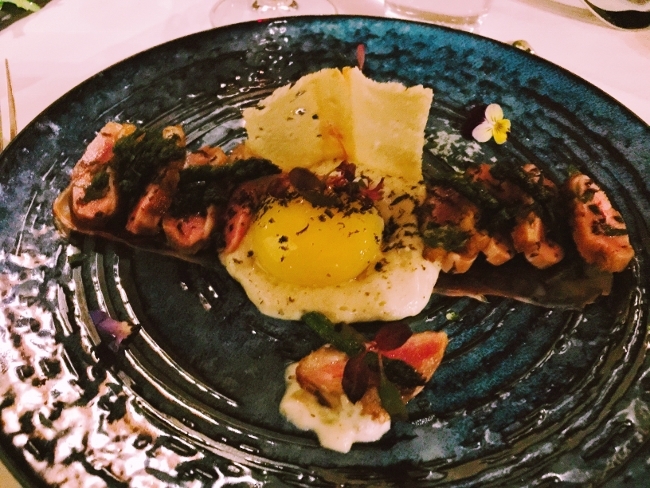 The Duck Two Ways, one of the chefs signature dishes – Seared Duck Breast and Duck Egg over a thin slice of Jamon for added smokey flavor. The yolk added a decadent silkiness the the duck breast that was divine. 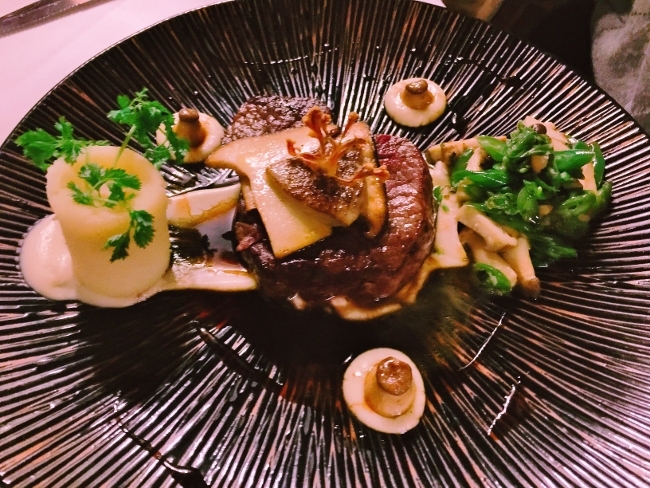 The Beef Fillet with Seared Foie Gras was over the top delicious. 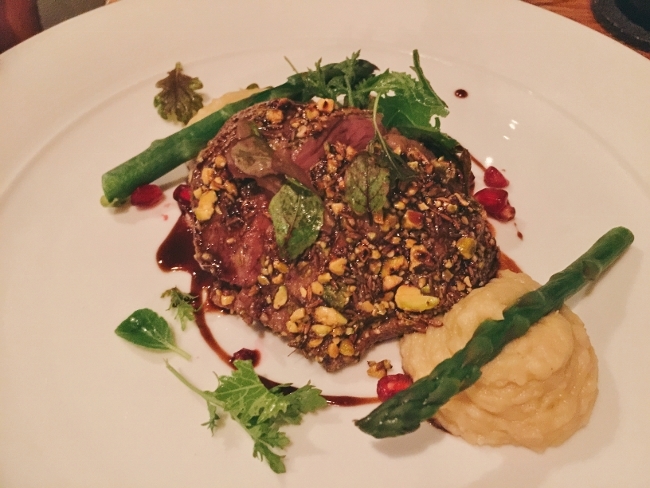 The beef in Australia is wonderfully tender and with a decadent piece of seared liver on top, well…..heaven. 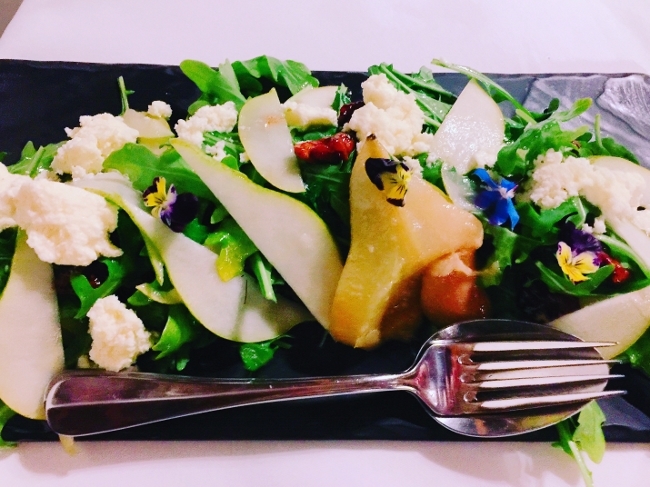 Our side dish was an Arugula Salad with Candied Walnuts, Roasted & Fresh Pears and Blue Cheese. I think the presentation says everything. After that meal, we couldn’t possibly eat dessert, but I am sure it was lovely. The next morning we had a private wine tour set-up with The Two Fat Blokes, a local company in town. We weren’t taking their traditional tour because I had researched a few wineries I had wanted to visit. Before we left – breakfast at Spicer’s Vineyard Estate. The juices at Spicer’s were so good. 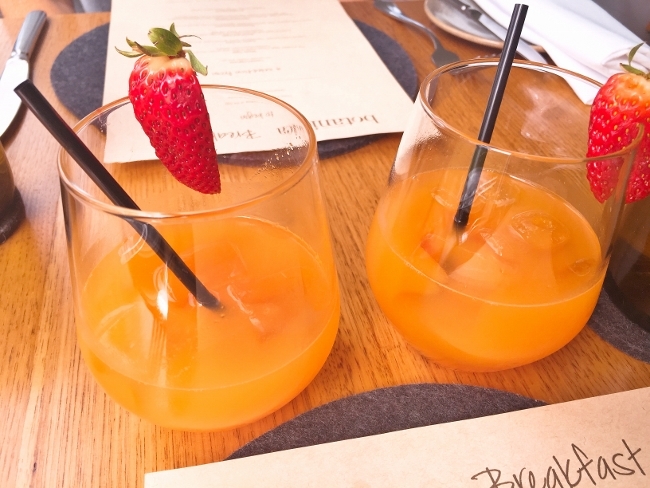 Each morning was a different combination of orange/strawberry, orange/watermelon, orange/apple – just a real treat. 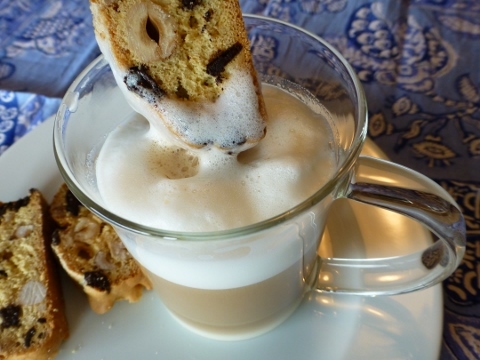 Followed by a small dish of muesli and a set breakfast menu of eight items. 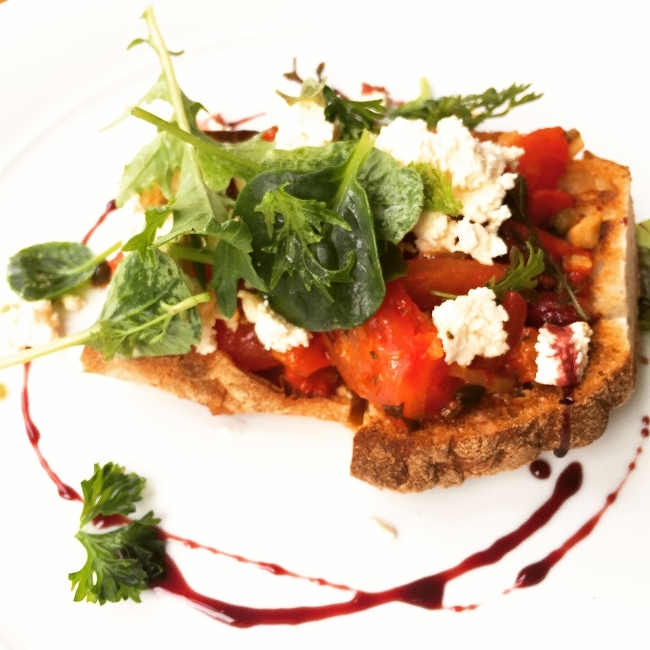 The Breakfast Bruschetta was served warm, including the feta, my favorite. I had it two out of three days. 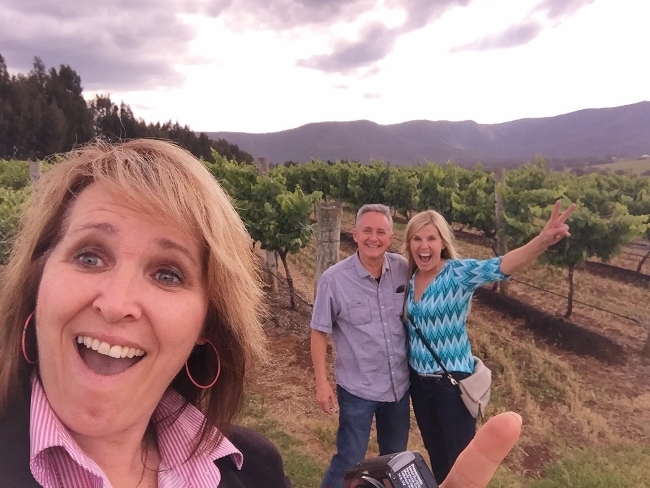 Our tour guide, Julie, arrived and we headed out to our first winery, Gartelmann. 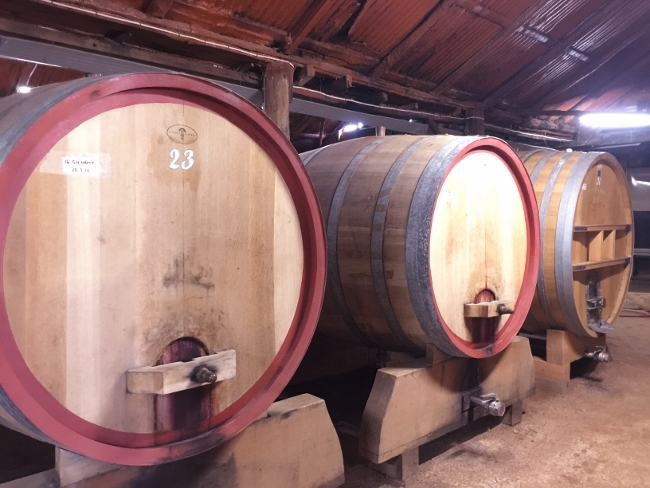 The wines were big and rustic, but the 2014 Shiraz was outstanding. 2014 in Hunter Valley was supposed to be the best year in some time. I know the picture isn’t that bottle, but I was busying sampling and talking. Our next stop was in a large retail complex that housed several wineries and restaurants. 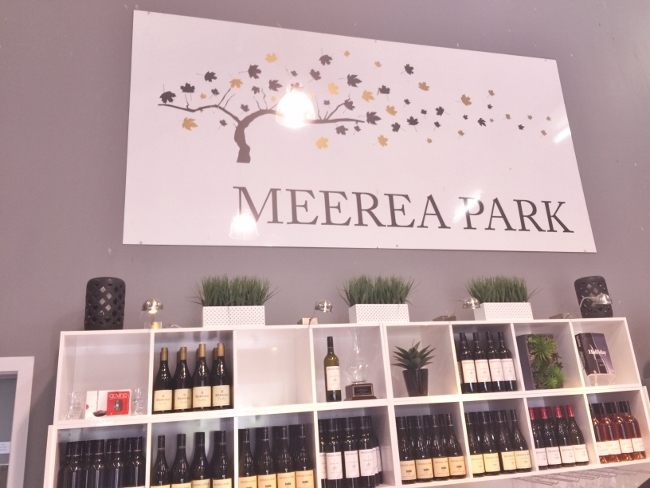 Meerea Park Wines was our first stop in this location. The wines were a little plummy for my palate, but if that is your flavor profile, this is the place. 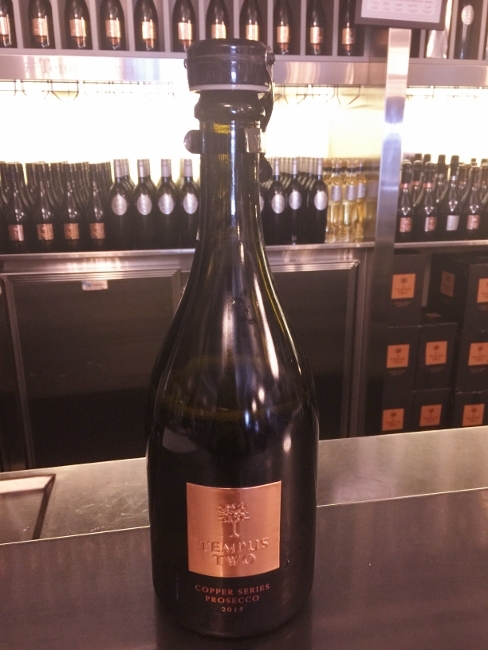 Tempus Two was located a few doors down and we thoroughly enjoyed our experience. We started with a sparkling wine, followed by a Prosecco that was perfect, not too sweet. We even got to taste some older Semillon and Shiraz vintages that were outstanding. I would definitely recommend this winery. 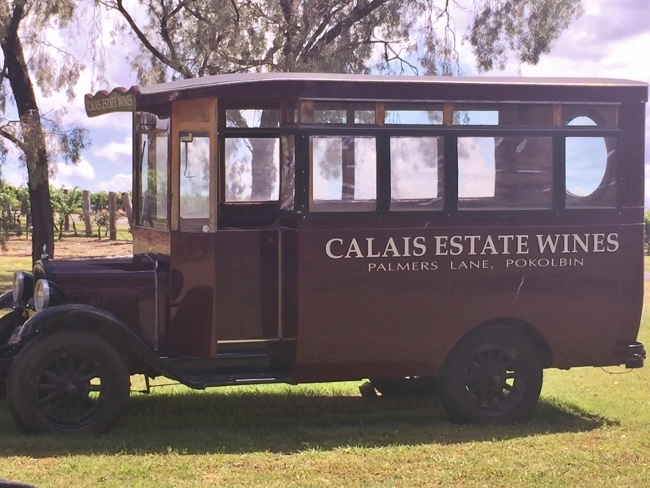 Next, we headed to Calais Winery for lunch upstairs at – Verandah Restaurant. The views from our table outside were beautiful. 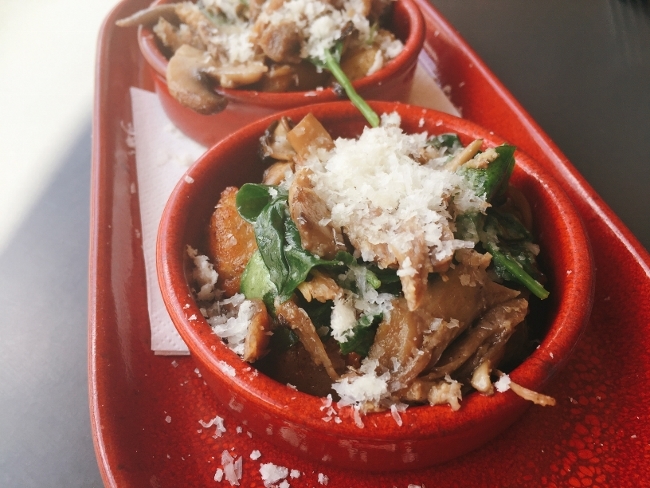 The small-plates tapas style cuisine was made to order and hit the spot. We started with Seeded Zucchini Flowers filled with ricotta cheese, yum. 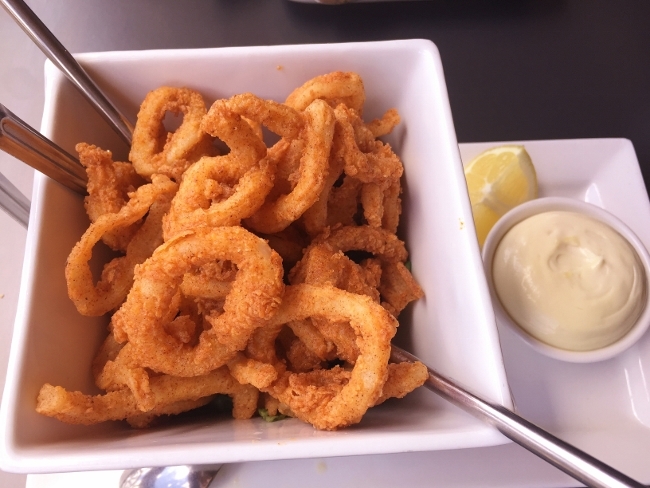 Next, Calamari with Kaffir Lime Mayo and it was hugely delicious as you can see. 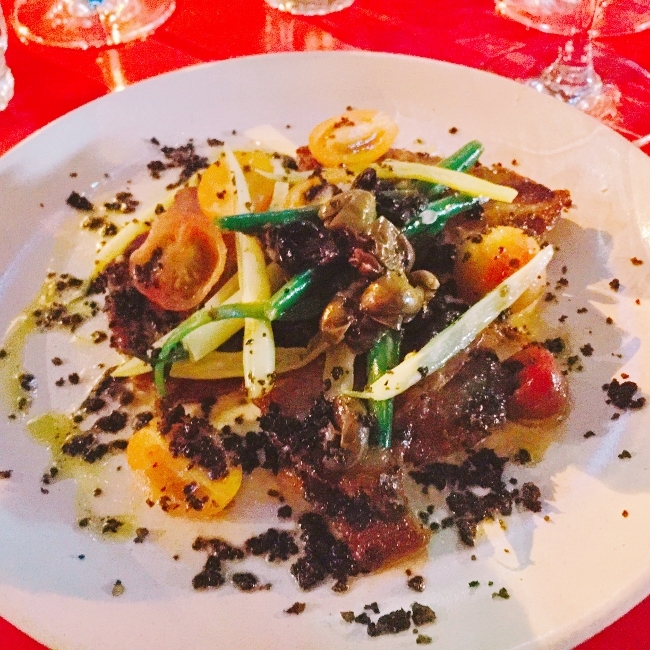 We sipped on Calais Semillon and shared a Shiraz to get a taste for their wine with our lunch. 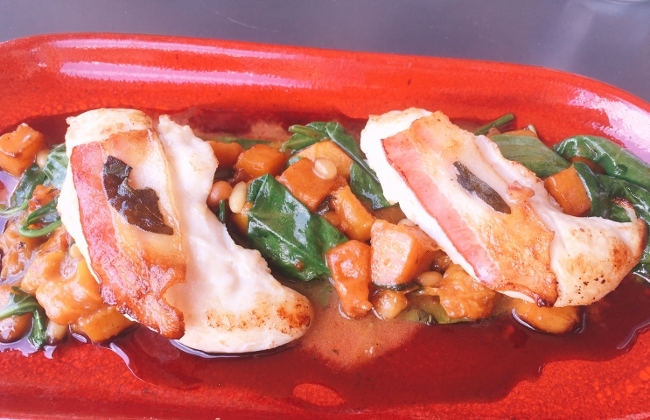 Mini Chicken Saltimbocca with diced pumpkin and Swiss chard and Duck Confit with Seared Gnocchi & Spinach – okay I think we went a little overboard….so good though. After lunch we headed to Leogate Estate Wines for another tasting. 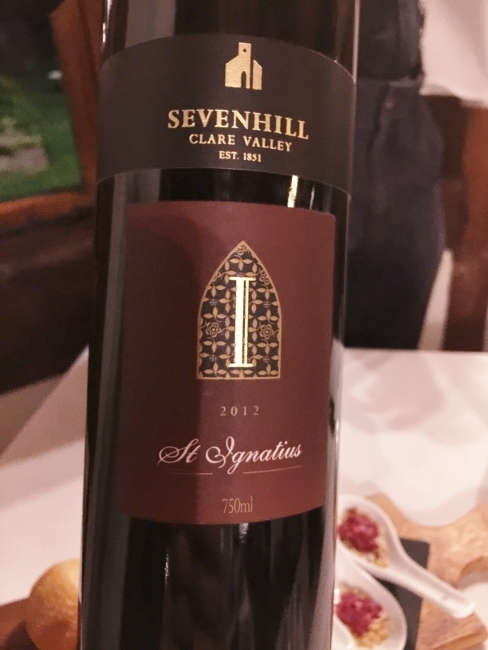 The Shiraz was some of the best we had in the Hunter Valley, smooth, but complex. We really enjoyed the wines – I would highly recommend. 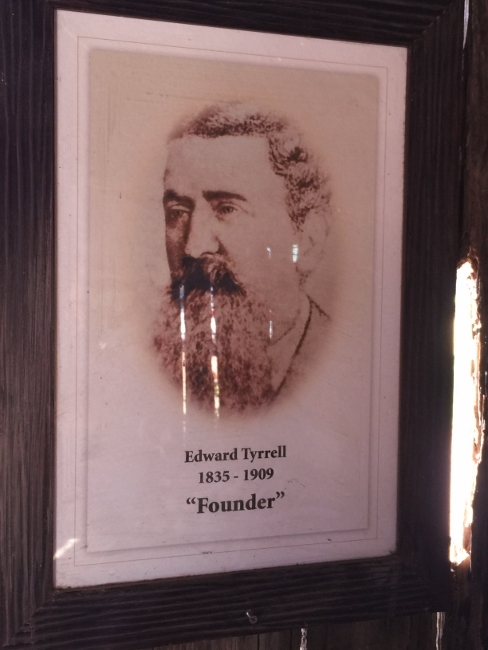 Our final tasting of the day was at Tyrrell’s Wines, one of the oldest wineries in the valley. The wines were nice and I loved the gentlemen pouring, very knowledgeable and fun. We had a small tour of the wine making facilities afterwards. The vats and barrels are all sitting down below the cellar door on a dirt floor, pretty original. 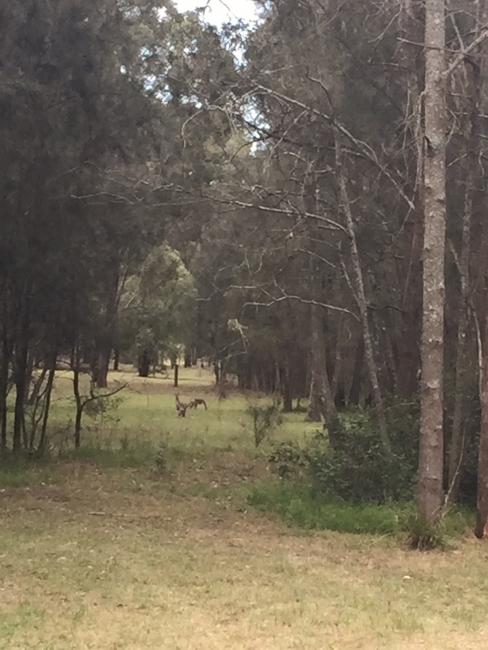 Julie showed us a few more spots in Hunter Valley with magnificent views and we spotted a few Roos in our way back to Spicer’s. What a great day, thanks Julie! 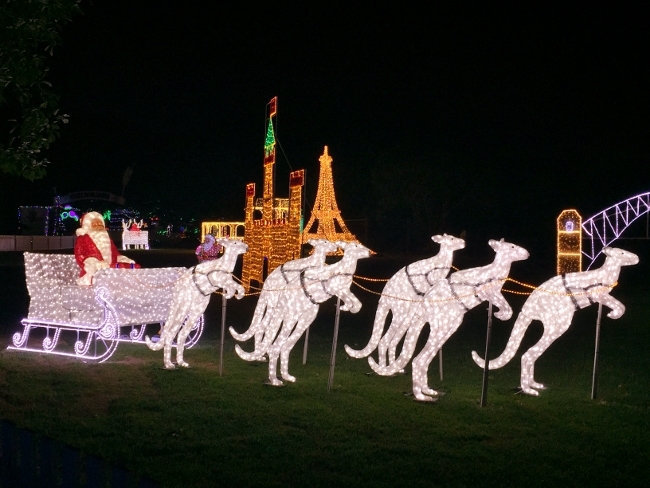 Much too full for dinner, we decided to go to Hunter Valley Gardens for the largest light installation in the Southern Hemisphere during the holiday months, as we were told. 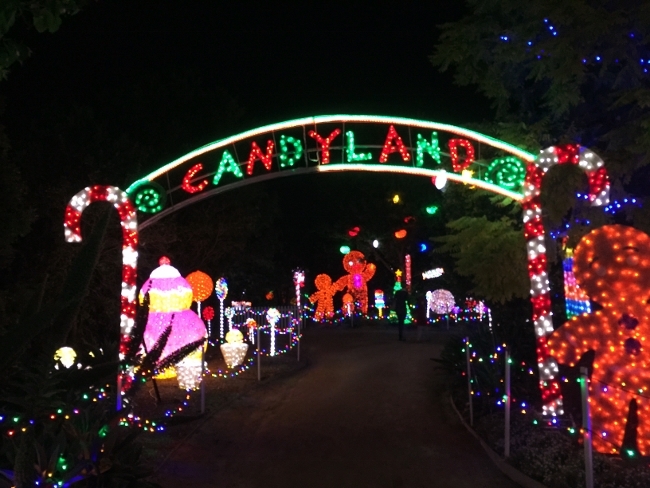 It was like Christmas on steroids, I thought it was great! 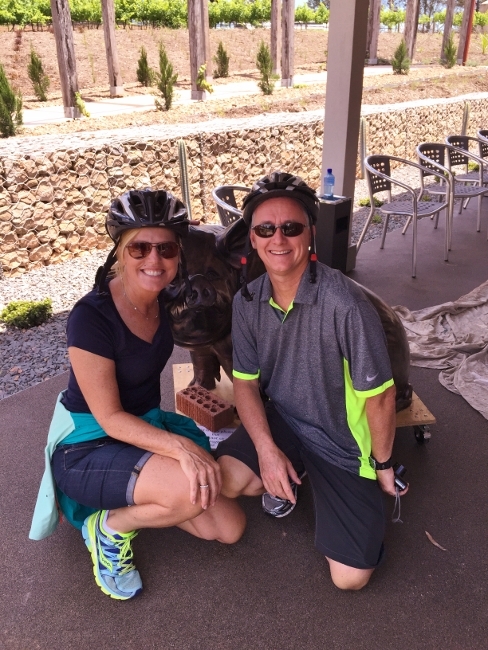 The following morning, we obviously needed a little exercise, so we peddled our way around a few wineries before taking the car out to explore. 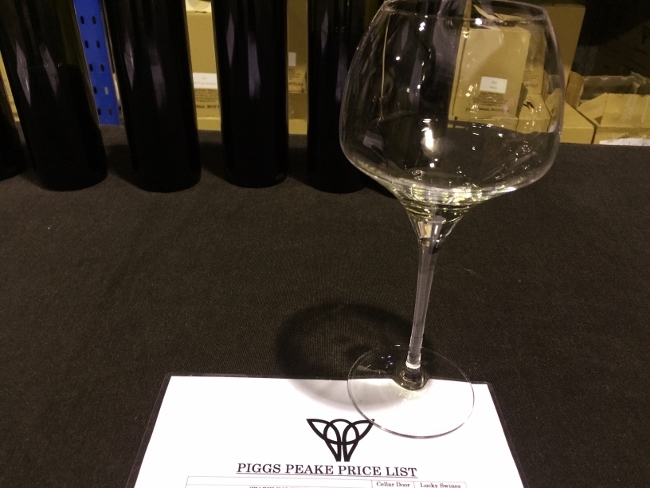 We ended up at Piggs Peaks for a tasting, what fun. Here are just a few others enjoyed – Thomas Allen Wines and Gundog Estate. Both wineries making some interesting bottles. 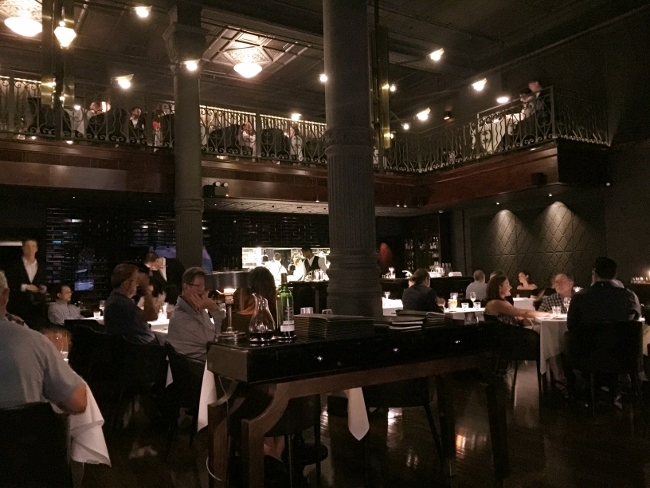 That evening, we dined at Spicer’s – Restaurant Botanica, where we were staying. 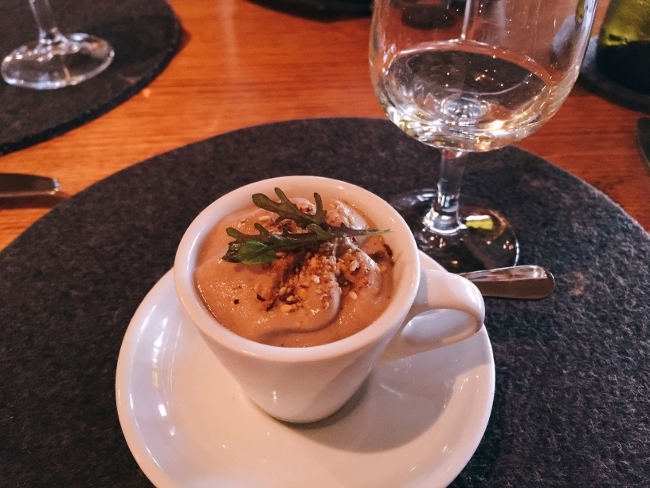 The amuse bouche was outstanding, Porcini Mushroom Soup. 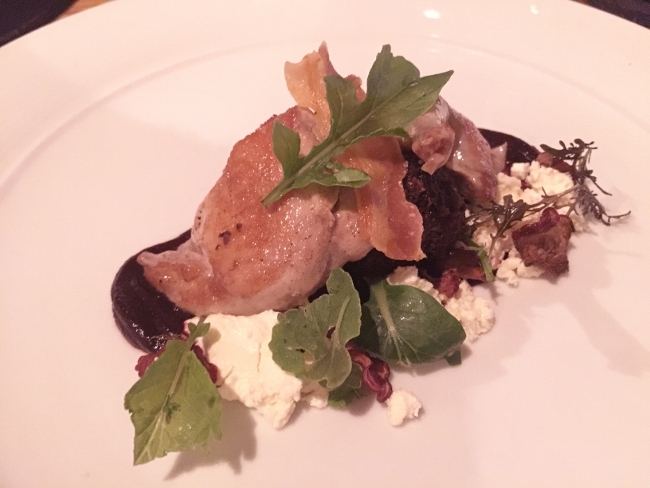 As for the starters, I ordered Quail with Beets and Ricotta, but it didn’t compare to the quail from Circa 1875. Granted, I probably had one of the best quail dishes of my life. The Seared Scallops with Butternut Squash Puree and Ginger Sauce had a bit more flavor and the ginger sauce some kick, which was nice. Our mains, — Waygu Beef Cheek and Coriander Crusted Lamb Rump were light on flavor. 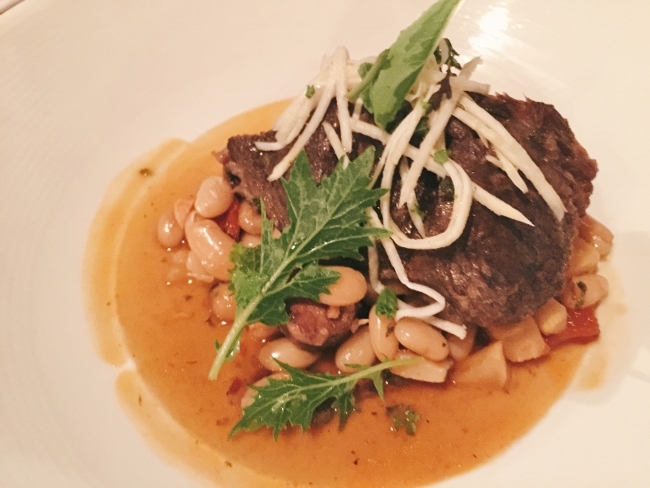 The beef tasted more like pot roast over Cannellini beans and the lamb, just too tough for our palates. 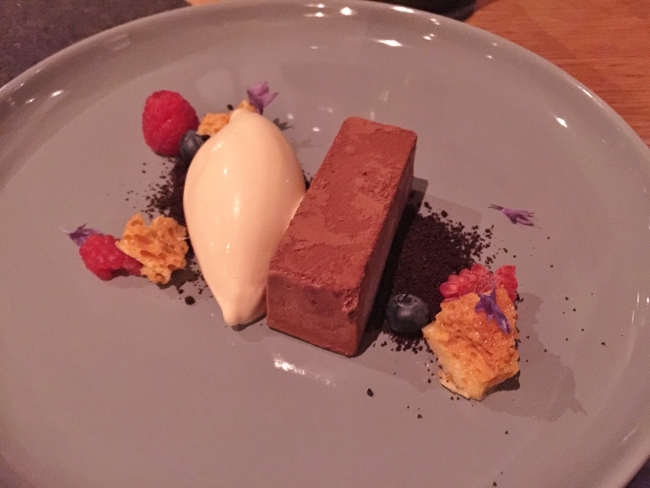 The chocolate dessert — Dark Chocolate Mousse Ganache with Vanilla Ice Cream, Honeycomb and Chocolate Crumbs, was outstanding. 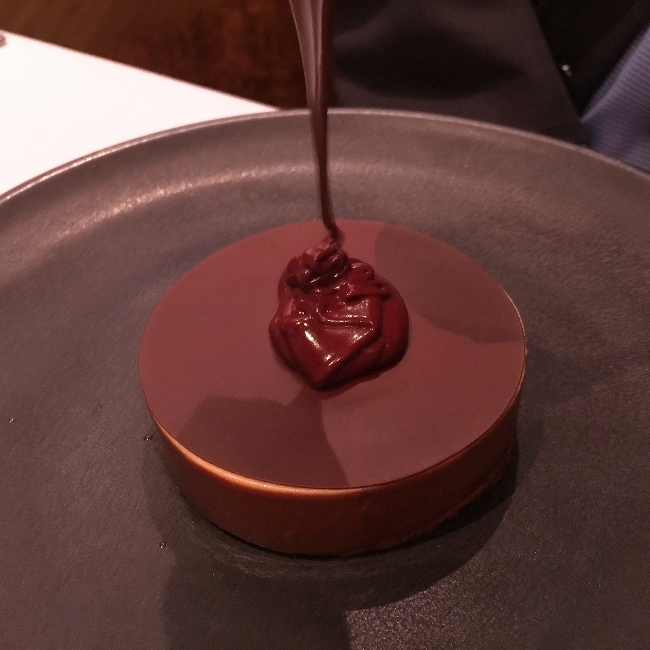 The dark chocolate actually tasted more like milk chocolate, which I prefer, and the different textures on the plate, added to the experience. In the morning, off to Sydney for our last three nights of our vacation. 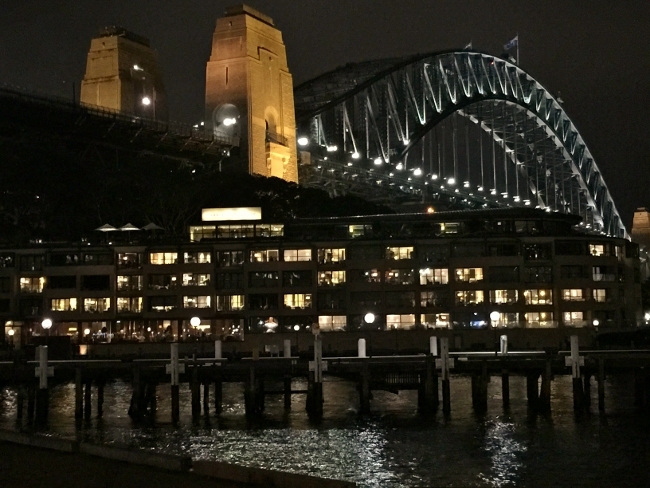 We checked in to Park Hyatt Sydney in the Circular Quay. 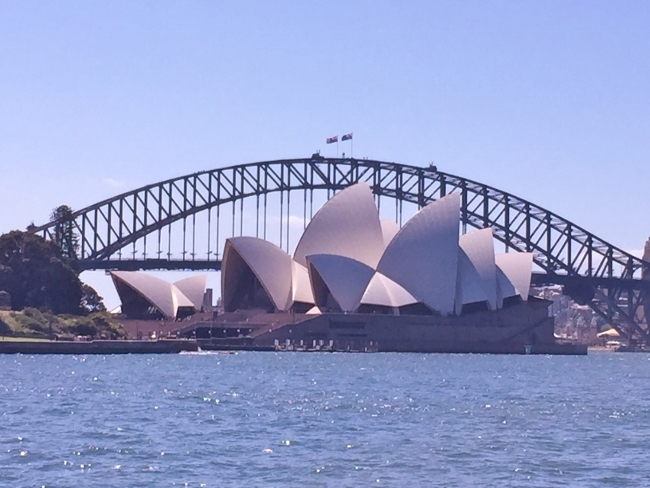 The hotel sits right on the docks on the edge of the city, just across from the Opera House. We really needed a little exercise with all the food and drink we had been consuming, so we headed off for a walk through the Royal Botanical Gardens. 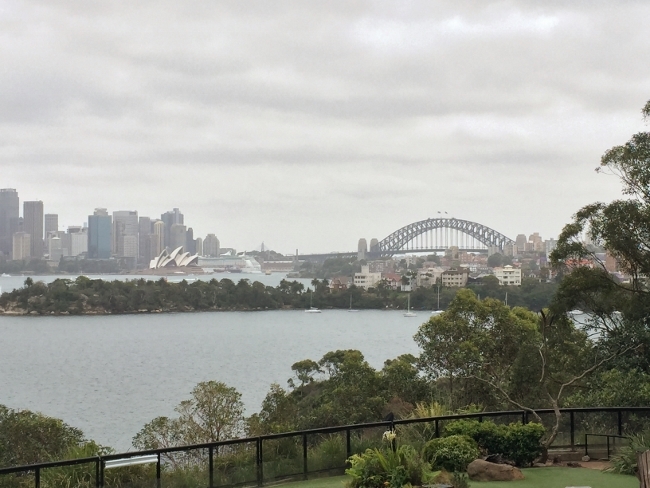 The gardens were lovely and you could view the Sydney Bridge, Opera House and downtown from in the park. 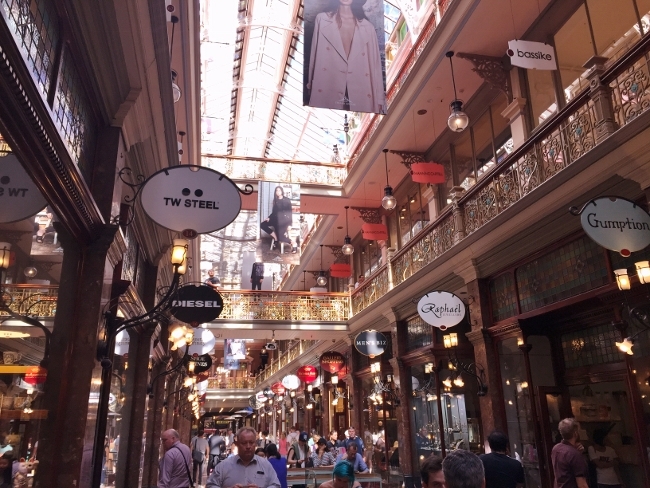 After our walk through the gardens, we continue toward the city to a small shopping area with mostly (and I say mostly) Australian brands called the Strand Arcade. Some of the stores I really enjoyed were Haigh’s chocolate, Gewurzhaus for spices, Declic for men’s clothing. On our walk back to the hotel through the downtown, we noticed a lot of construction going on down George Street, the main street, they are putting in a rail line. 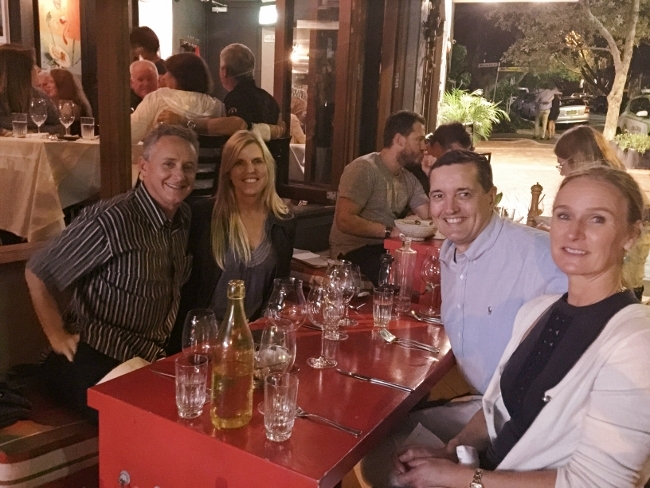 After a delicious glass of champagne at our hotel, we headed off to dinner at Quay Restaurant, just a few doors down on the waterfront. Chef Peter Gilmore has been on the top 50 best restaurants in the world, since 2009 creating modern Australian cuisine. 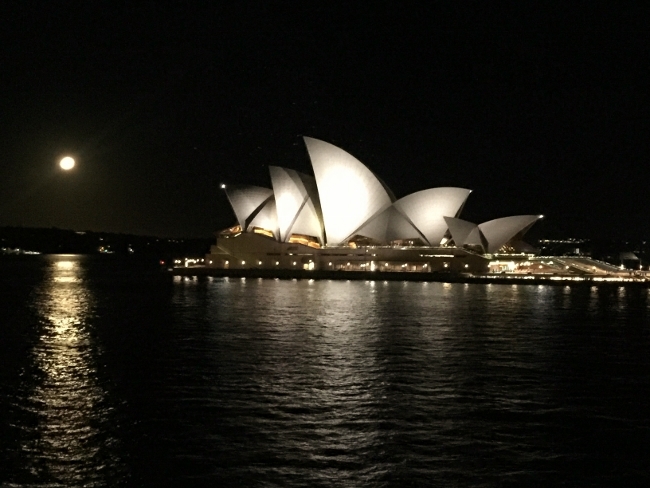 We sat at a front table facing the Sydney Opera House and you could see the Super Moon that evening. The lights in the restaurant were a little loud, making it difficult for great viewing. 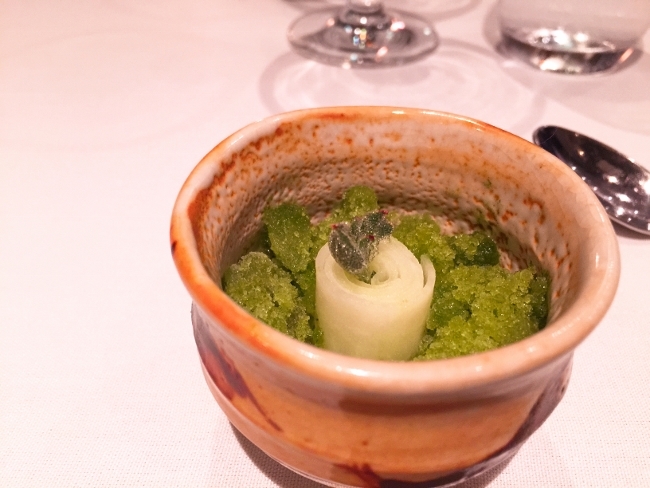 We started with an Amuse Bouche of Mint Granita with Pickled Kohlrabi and Crema. The flavors were refreshingly light, a good palate cleanser. 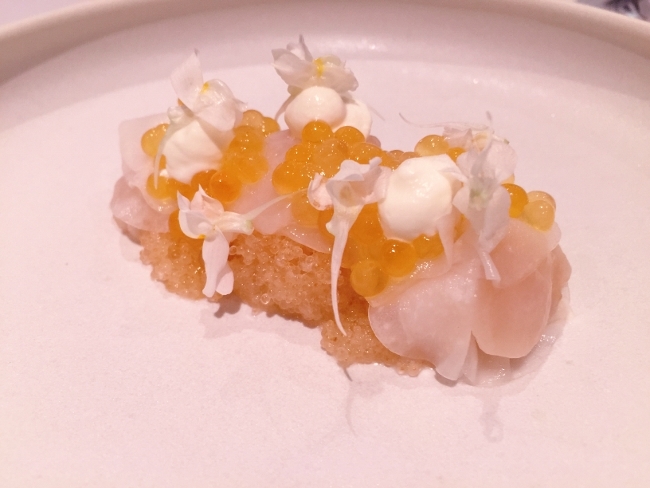 Our first course was Sliced Raw Scallops with Kabu Turnips (Japanese Turnips) and small drops of Cultured Crema with Silver Dory Roe. I liked the presentation, but the roe dominated the entire dish. We added the wine pairing, along with our meal and it was mostly whites to accompany the local Australian cuisine. 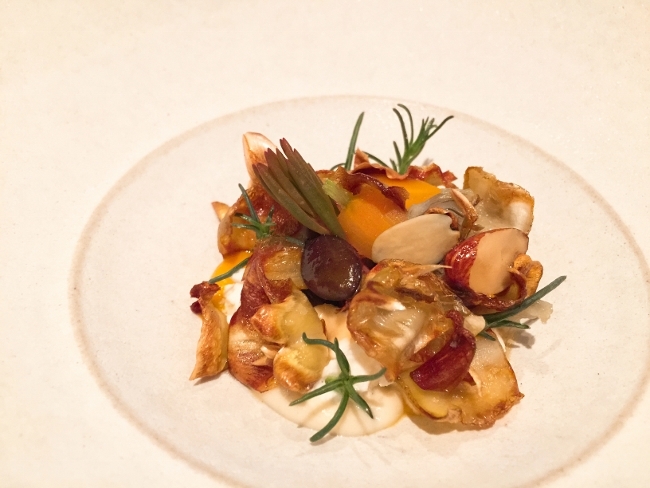 The next course for me, Roasted Artichokes, Sheep Milk Feta, Carrots, Sherry Caramel and Smoked Almonds, was outstanding. 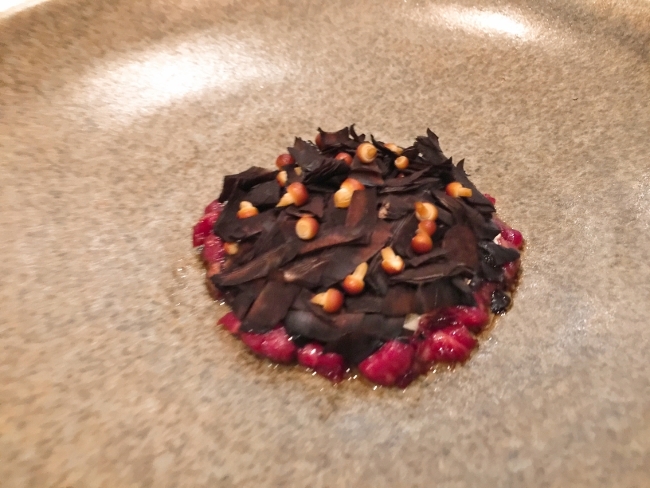 My husband substituted the Raw Wagyu, Fermented Rye Crisps and Raw Fungi, but it wasn’t nearly as good. However the Pinot Gris, the assistant Sommelier paired with both of our dishes, was much better with the beef, than the artichokes, interesting. 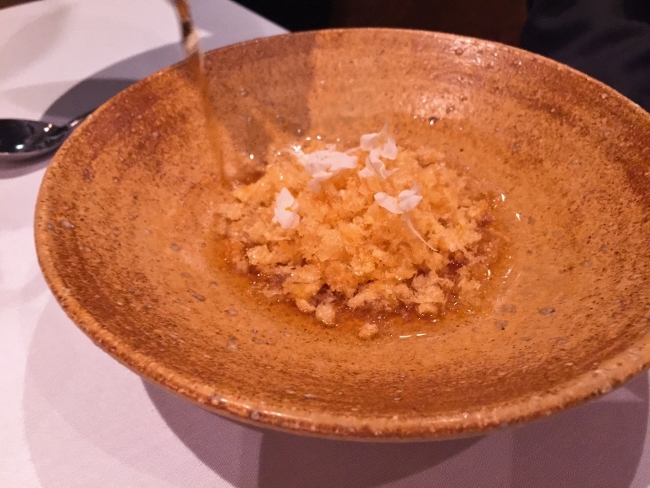 The next course of Uni, Koshikari Rice, Fish Maw with Umami Broth was uniquely delicious. 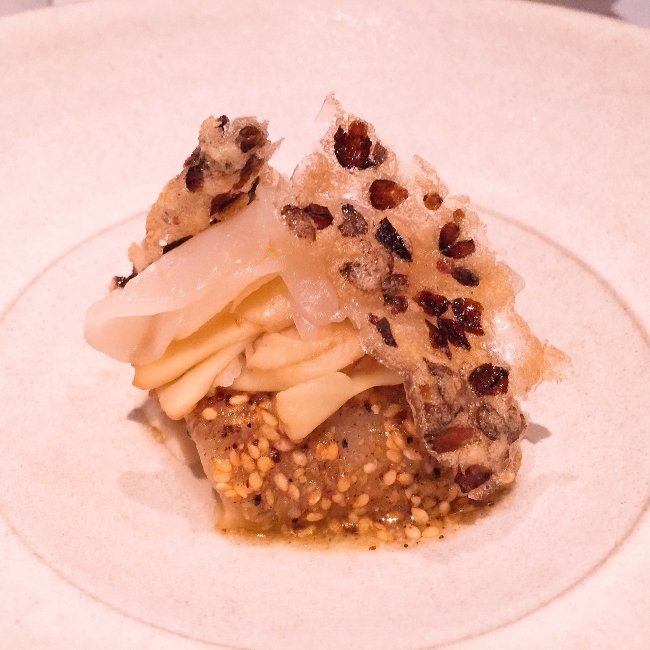 The Asian inspired dish had interesting textures from the crispy maw (fish bladder) and the sweet uni. 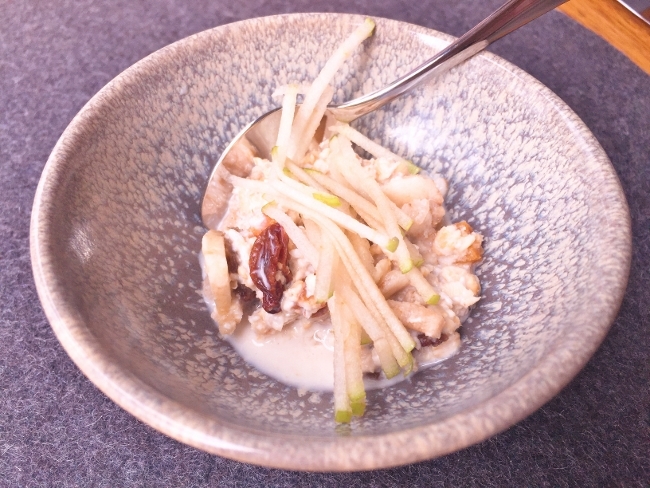 Our next dish of Wild Abalone, Fermented Shitaki Chawanmushi (prepared this at Saffire in Tasmania, see blog), Smoked Pig Jowel and Roasted Koji. The pork was steamed, which made the textures taste jelly like, too flubbery. I didn’t enjoy this one. 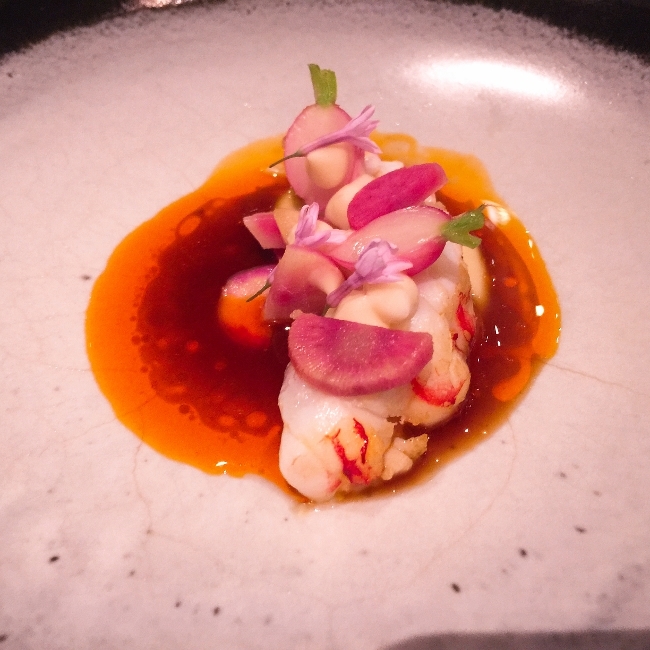 Our next course was Lobster, Garlic, Organic Radish and housemade XO sauce. 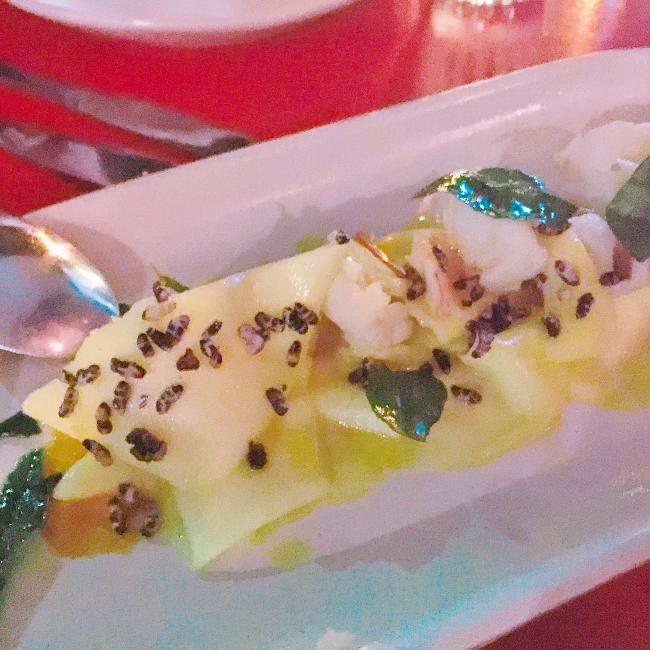 I loved this dish with the slightly tangy sauce and the succulent flavors of seafood. 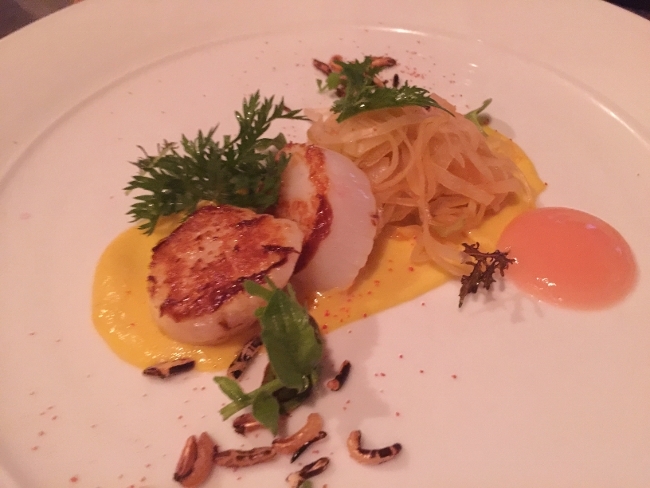 The assistant Sommelier, paired this dish with two wines; Rose and a Chenin Blanc. I enjoyed both, but I thought the Chenin Blanc was genius. 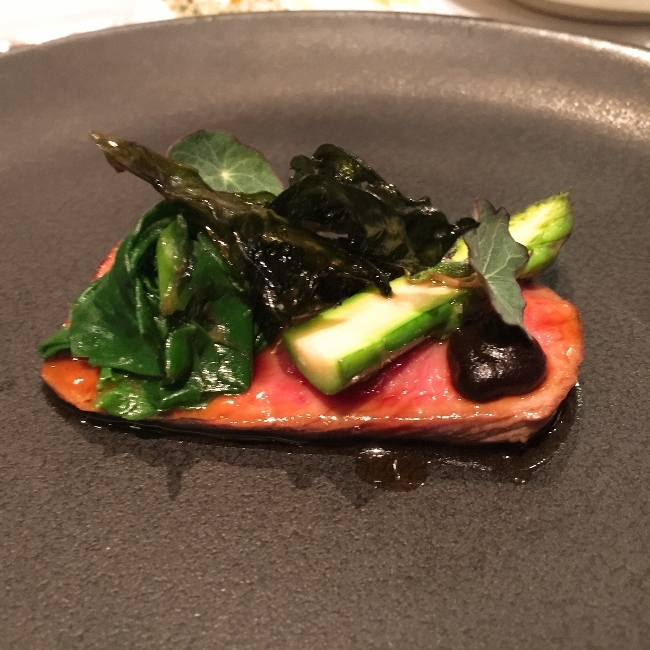 The final savory dish was a Slice of Arcady Lamb, Asparagus, Black Seaweed, Spinach and Nasturtium. 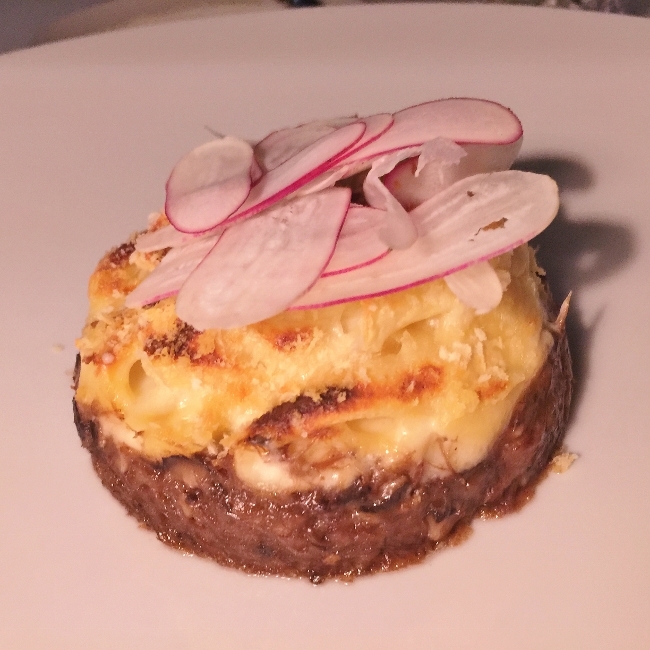 It was the smallest piece of lamb for our final course I have ever seen, but the flavors were nice. We had two desserts each! 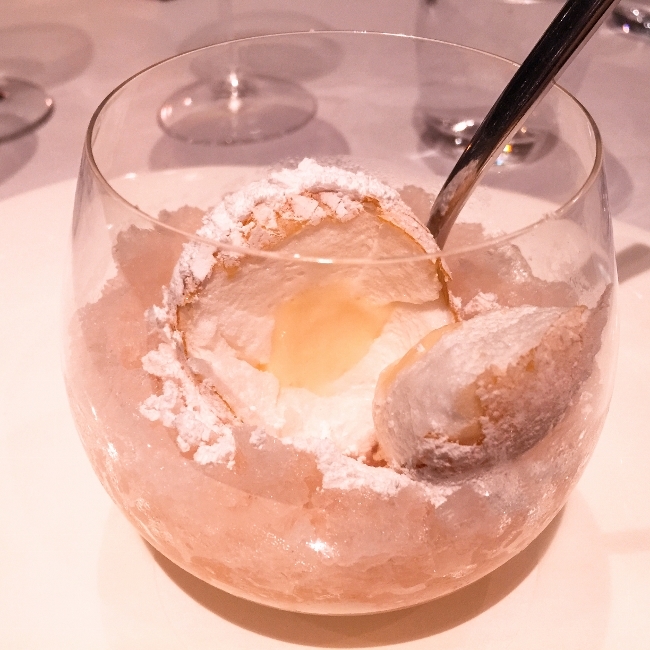 For me, Snow Egg of passion fruit curd inside a crispy meringue shell, sitting on passion fruit granita and crema. I still don’t know how they got the passion fruit inside that egg! I will figure it out. 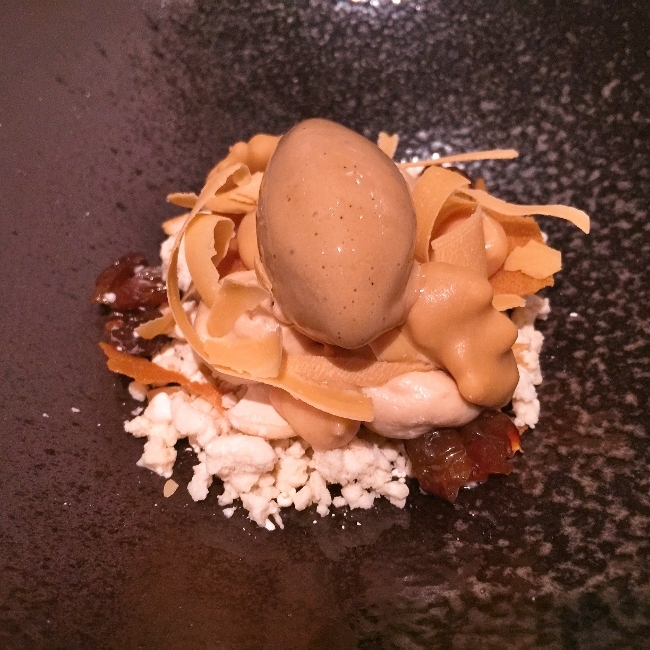 Second dessert was Walnut, Sherry Caramel Gelato, Candied Muscavado, Blonde Valrhona and Pecans. Much more elegant than I described, but so luscious. And my husband had an Eight Textured Chocolate Cake, that he thought had only five textures, does it matter?? 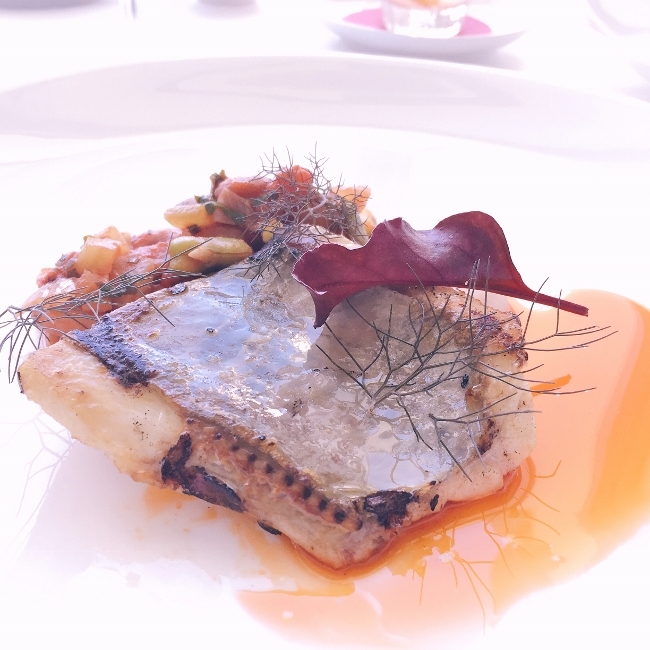 Overall, Quay was an interesting dining experience, however the service was spotty, especially in the beginning. The Asian influences in the chefs cuisine were a little obscure to us at times, but I enjoyed it. The following day we did a walking tour around “The Rocks” area of Sydney with a local guide. 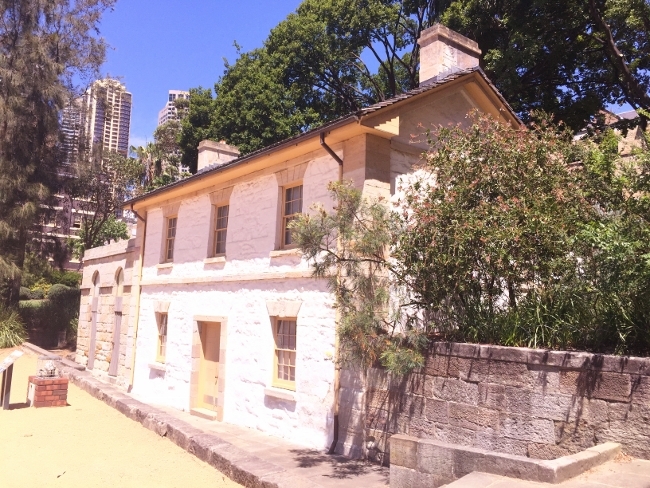 The Rocks is one of the original birthing places of Sydney. There is a little debate about whether the first area found in Sydney was Botany Bay, where the current airport lies or The Rocks. 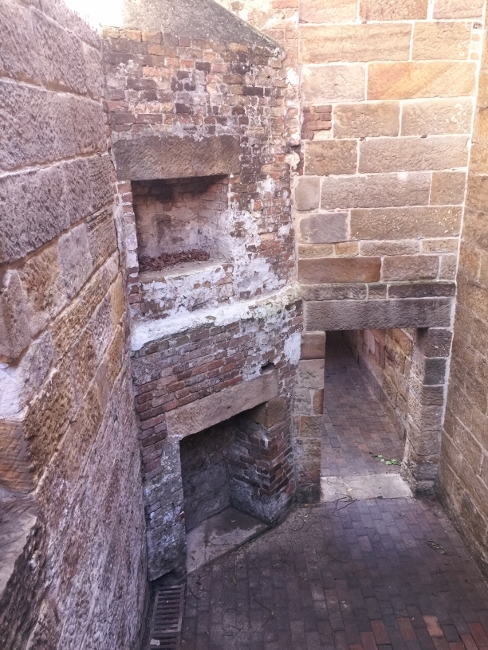 Most of the buildings had been restored from 1788 conditions, but there were still magnificent walls, a government house and a few artifacts of the original area. After our tour, we headed to Bondi Beach to have lunch at Icebergs. 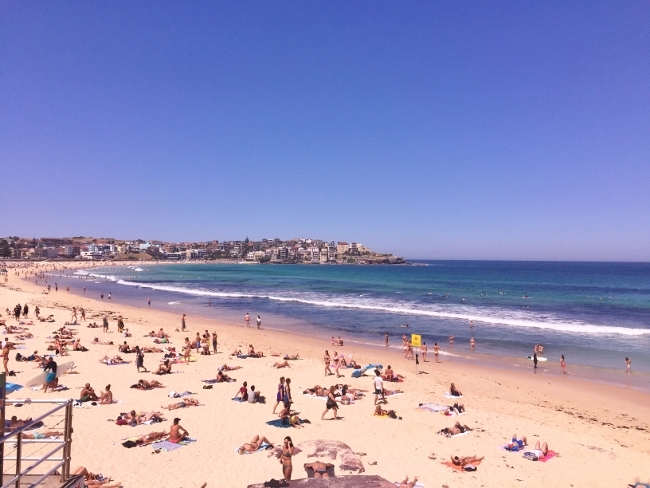 Bondi is probably the most famous beach in Sydney. The water is an aqua blue where locals and tourists enjoy lounging in the sun. 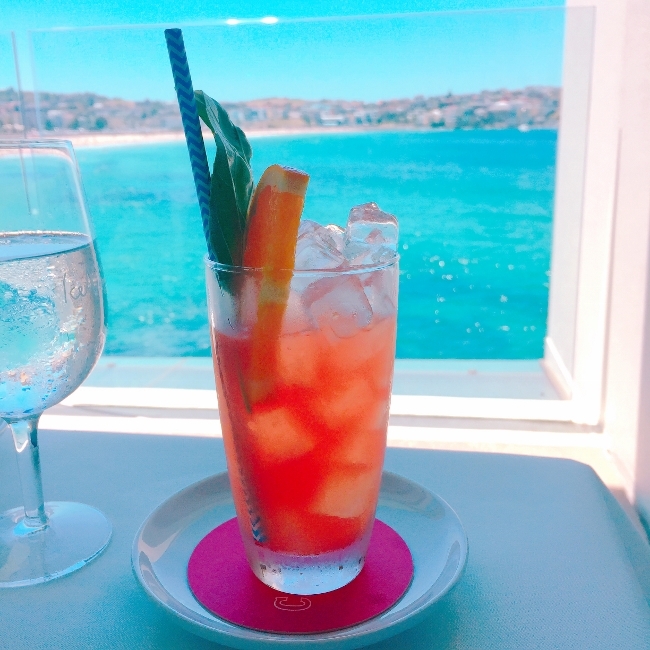 Icebergs is a restaurant perched up to one side of Bondi with magnificent views and seasonal cuisine. We ordered a Charcuterie Plate with local salumi and salad, followed by a Silver Dory, super fun. 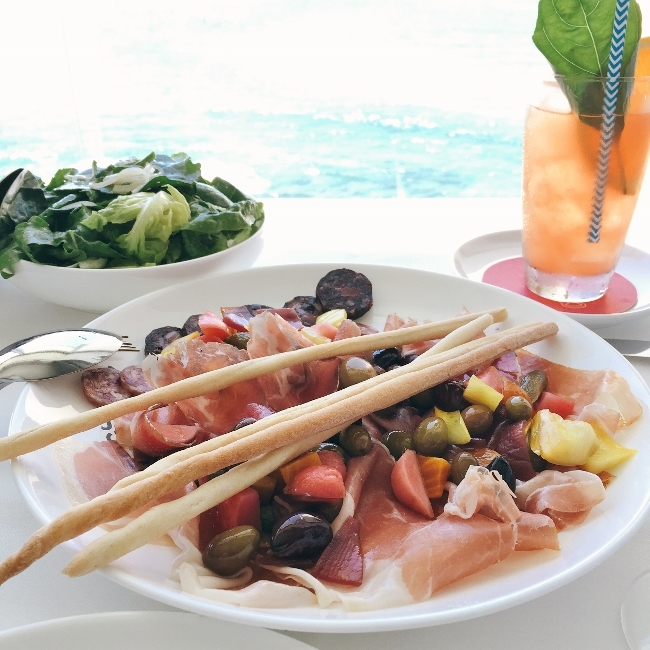 You can grab a cocktail or fruity beverage and sit outside on the waters edge, if you don’t want to dine. After lunch we took off our shoes and walked the beach, the water was a little nippy for me. It was fun to watch the young sunbathers, ah the good ol days! We headed back to our hotel and got ready to meet our friend at her home in Sydney. Her husband was in a yacht race, so he wasn’t able to join us, but we could watch his boat take off from the deck of their home, while sipping on champagne and eating fresh tuna (yeah I know, it was rough). Afterwards, we went to a local Italian restaurant, Bei Amici. At dinner, we started with a few appetizers to share, Tuna Sashimi, Local Prawns and Duck Pate, all were delightful, but the prawns had a spicy sauce that I just loved. For our mains, Veal Picatta with Pancetta and Fresh Beans and Nettle Pasta with Vension Ragu with Pumpkin Croutons, for my husband. I loved the veal, delicately prepared and the vegetables were a great accompaniment. It was great to catch up and I hope they come and visit us in the states. 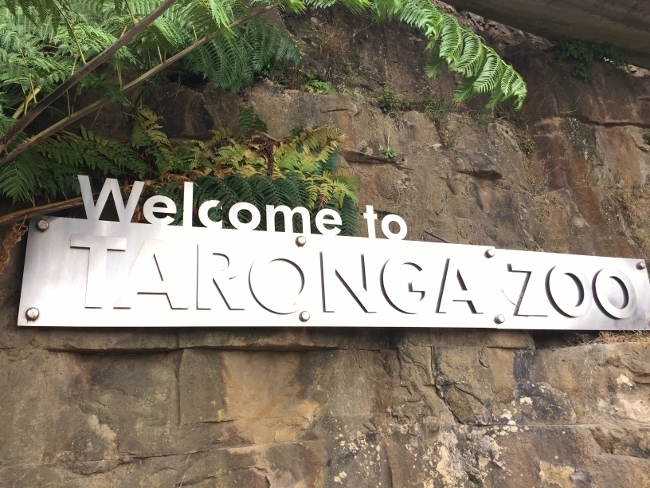 Our last day in Sydney, we spent at the Toronga Zoo. 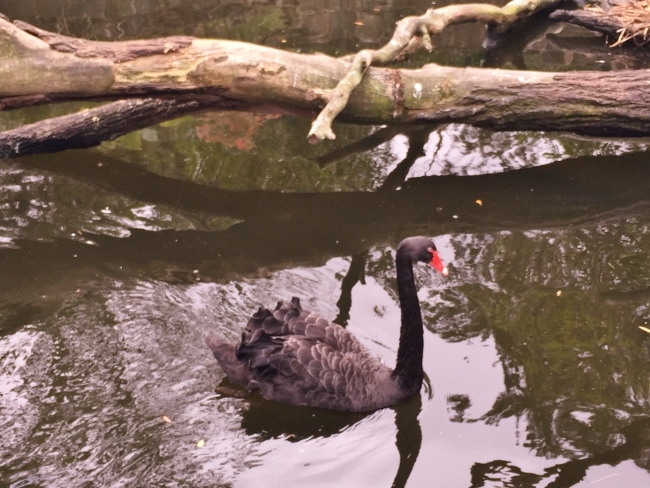 A quick boat ride from Wharf 2 and you are at the zoo in 12 minutes. A sky lift takes you up and over the hill to the zoo entrance. 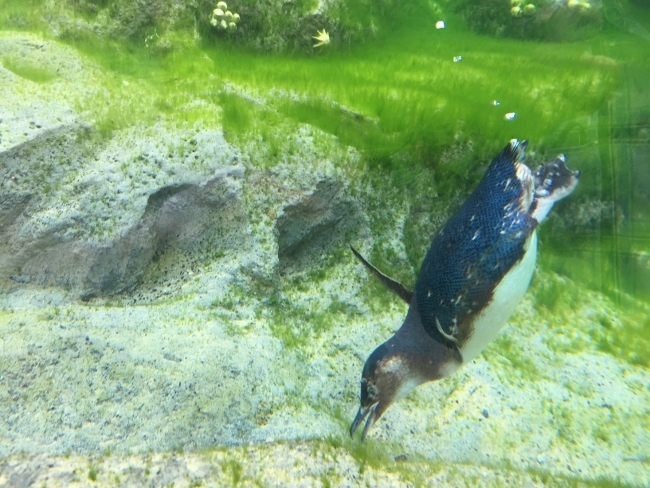 The overall zoo was amazing with walk-through areas with kangaroos, wallabies and birds. However, the flying bird show was mesmerizing, a real must do. This picture is the view from the seats at the flying bird show, not bad huh? Our last and final meal in Australia was at Eleven Bridge. 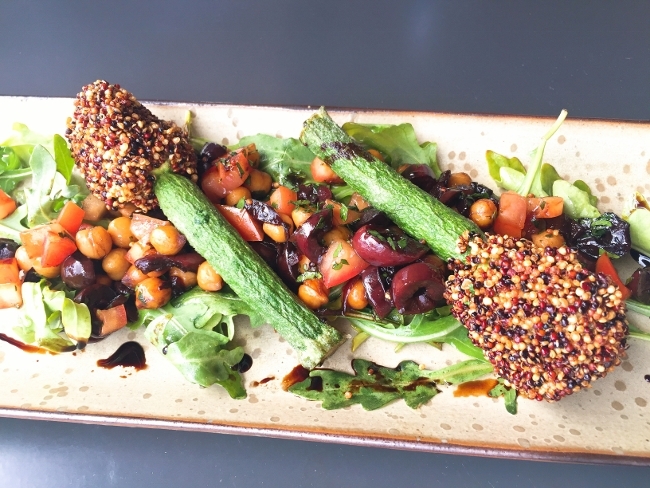 Chef Neil Perry has been making remarkable food for some time and he didn’t disappoint. The ambiance was perfect, low lighting with a dark romantic feel. 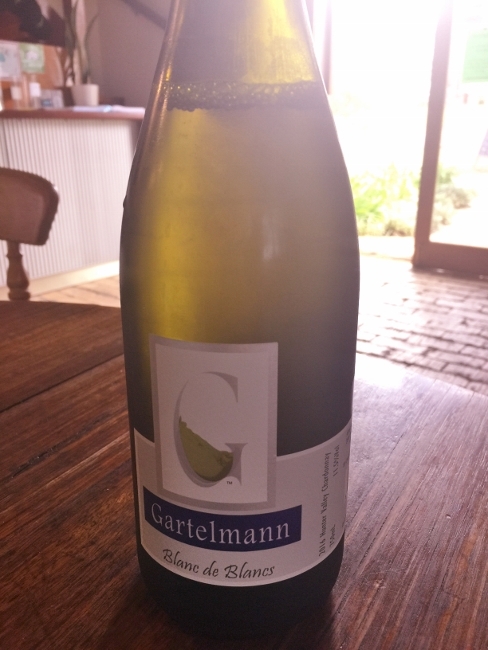 We began by choosing two white wines by the glass a Gruner and a Chenin Blanc from South Australia. 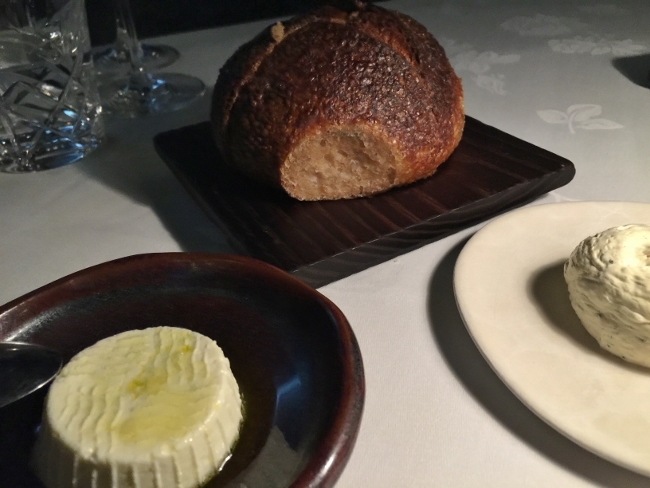 We started with a Housemade Spelt Sourdough with Fresh Ricotta and Nori Butter, delish. 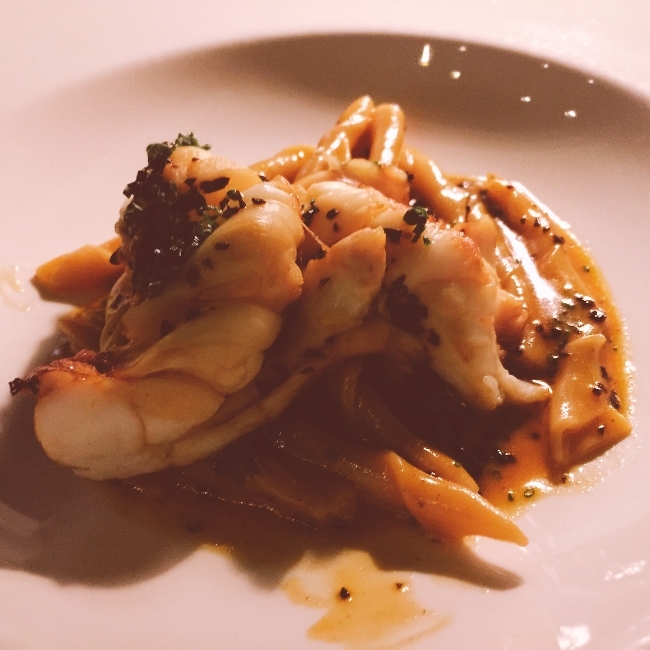 The first dish, Hand-Rolled Strozzapreti with Moreton Bay Bug (similar to lobster) with Crustacean Butter. The seafood was succulent and it tasted as if it were tossed in a lobster bisque sauce with al dente pasta, divine. 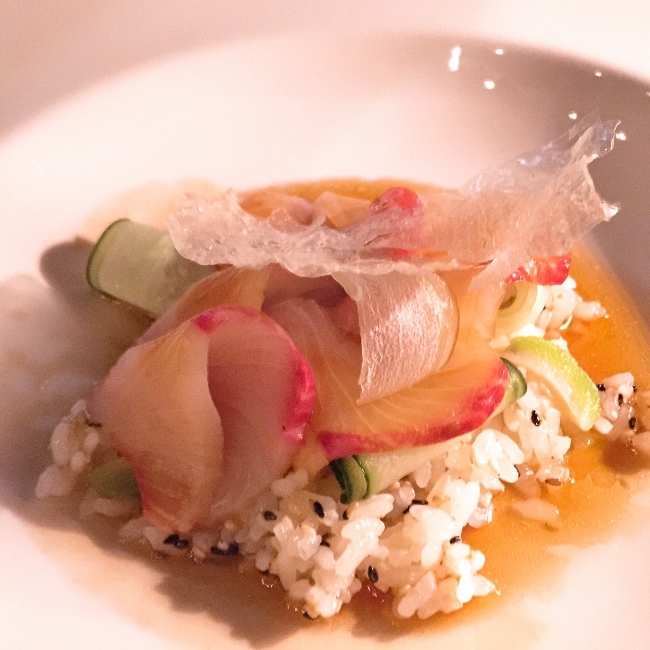 The Hiramasa Kingfish Sashimi with Sushi Rice and Aged Mirin was exceptional as well. Flavors so fresh and clean, it melted in your mouth. With our mains, we ordered a half bottle of a Rhone Blend from Victoria to enjoy. It was delicious! 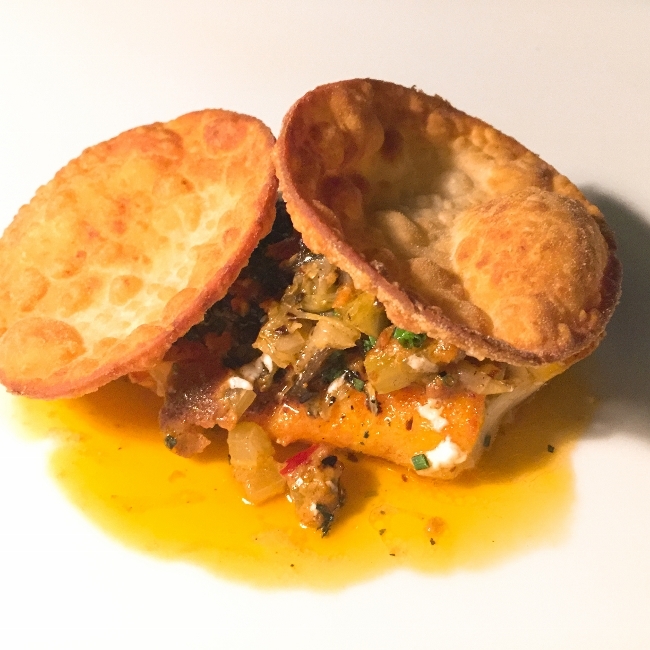 The Bass Grouper and Indian Pastry with Hot Dan Dan Sauce was lovely. The fish and sauce combination was probably the best fish dish I had on my entire trip, slightly tangy with Indian flavors. 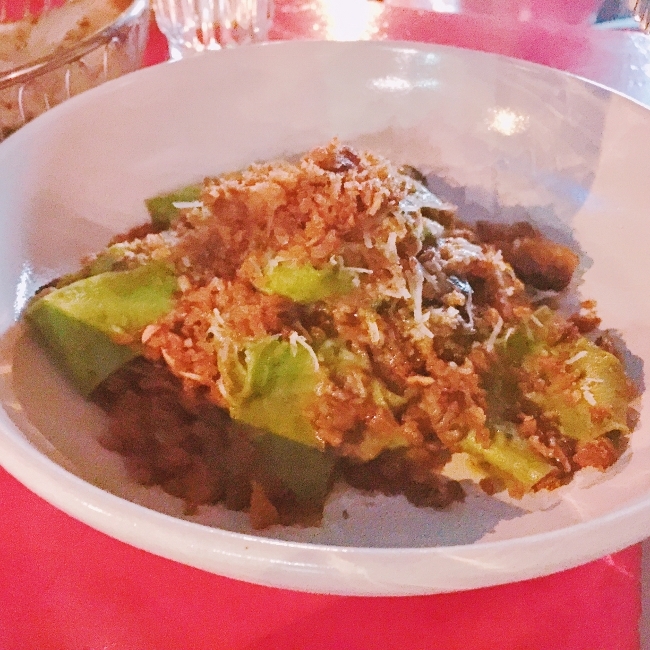 And the Oxtail Onion Bake – creamy pasta on top of shredded oxtail in a meaty sauce, great for traveling tourists wanting a little comfort food. 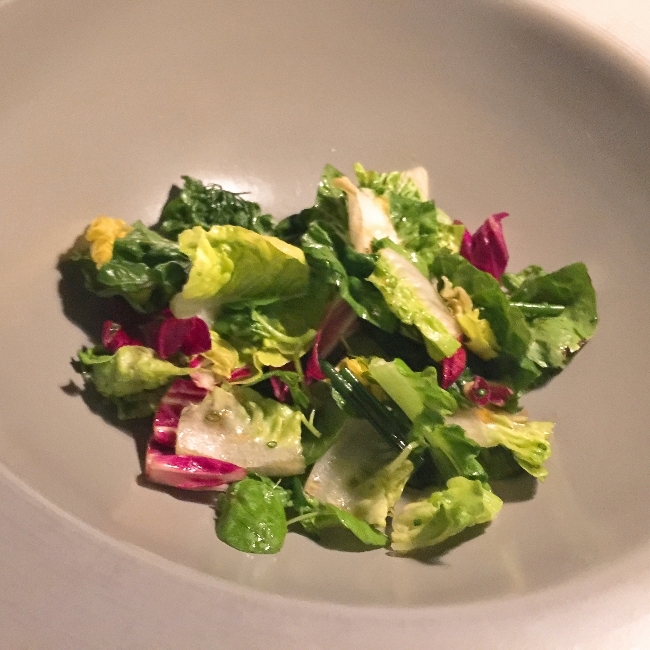 Tossed greens served half way through the main course are a traditional at Eleven Bridge. 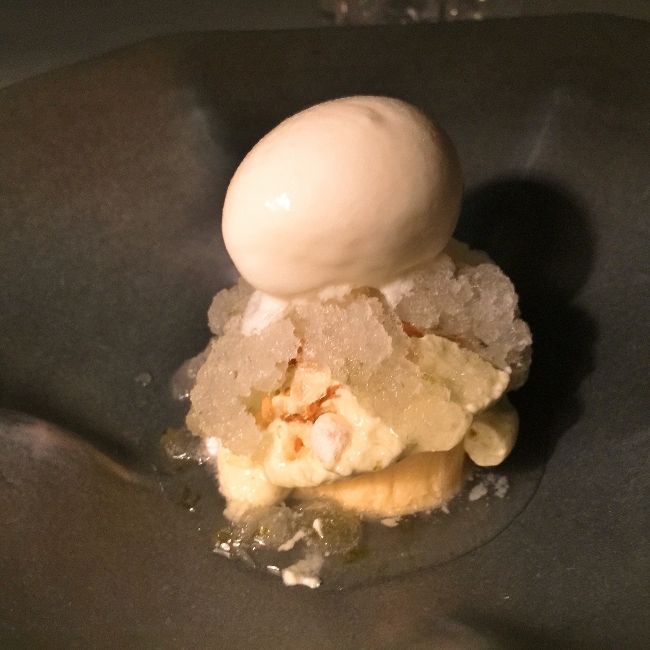 Vacherin of Pandan Custard with Lime Granita and Jamine Rice Sorbet – they called this one the Pre-Dessert. The refreshing lime and cream reminded me of a decandent 50/50 bar. 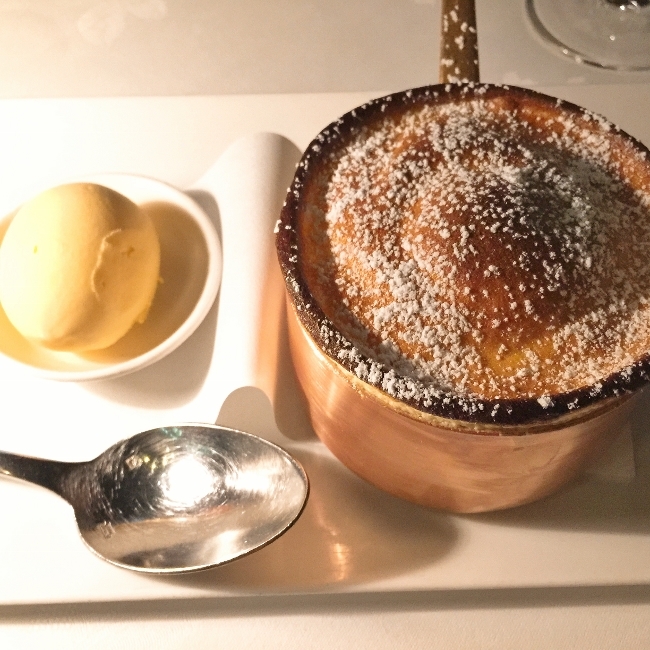 Then, Passionfruit Souffle with Passionfruit Ice Cream – need I say more?? 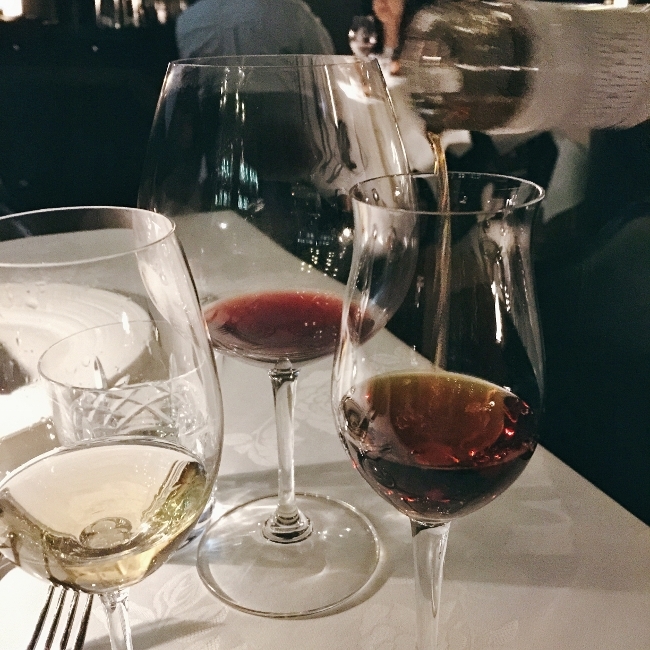 More wines from the outstanding Sommelier from Liverpool – a little Riesling and Port! Not to mention a Date Tart, compliments of the chef. 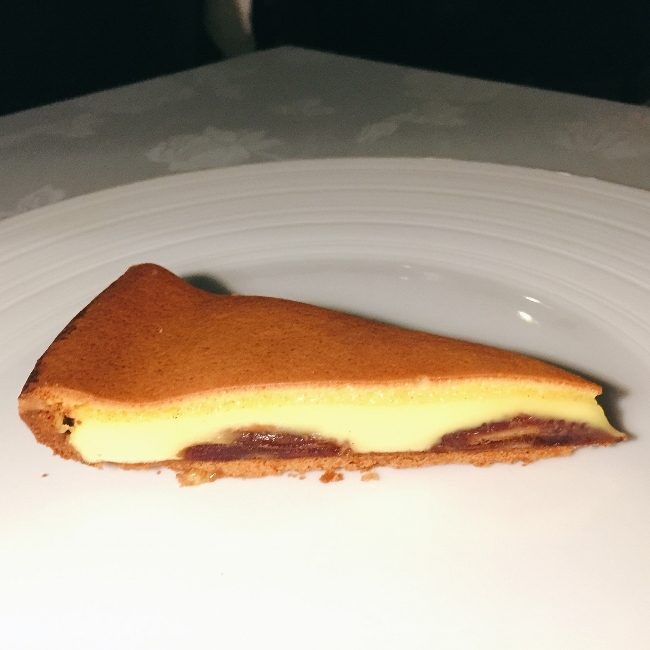 The tart had a spread of date paste on a brown butter crust with a layer of creme brulee baked on top, the best I could tell, yum! 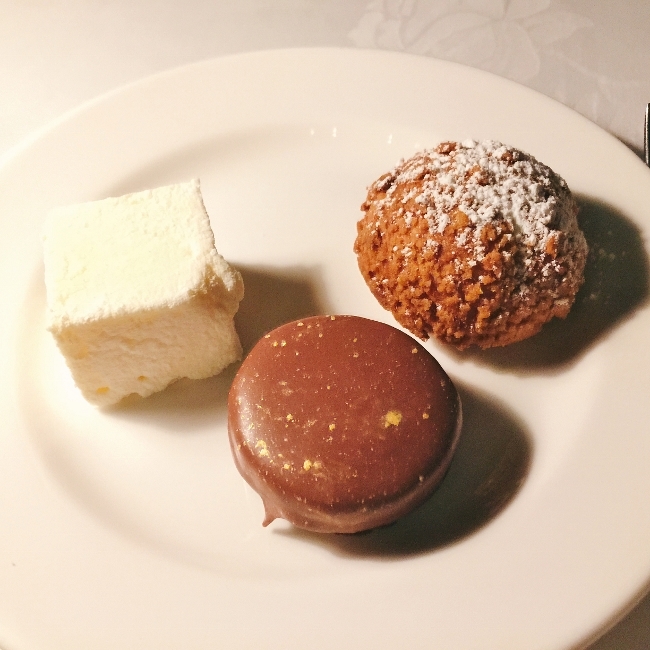 And to end — delicious Petit Fours – Homemade Marshmallow, Jam & Chocolate Wagon Wheel, Toasted Pate a Choux with Hazelnut Creme. I took one bite of each, too full to devour. I should of put them in my purse for the plane ride home the next day, mistake! 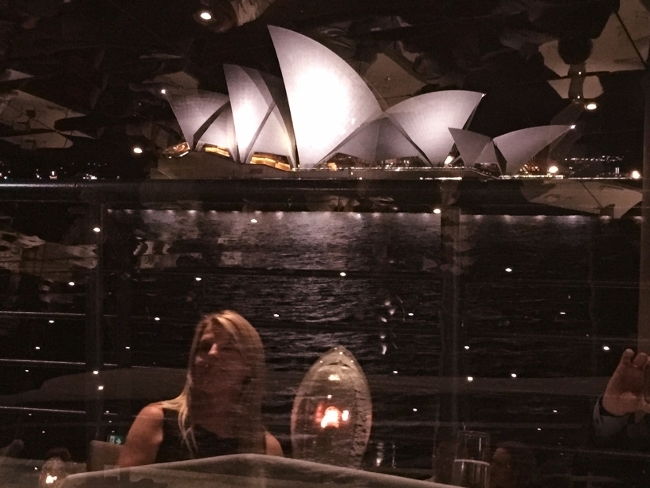 The meal at Eleven Bridge was our best in Sydney. The service and staff were very attentive and kind. We loved the food, wines and ambiance of the restaurant, such a great meal. 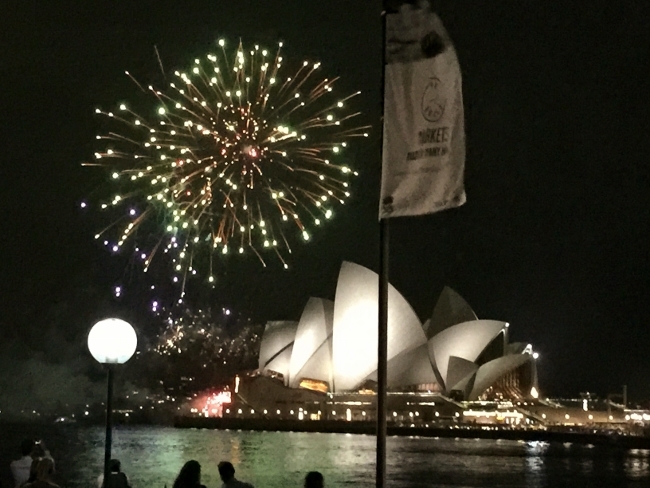 On our walk back to the hotel, we heard fireworks, so hurried to catch the last few minutes. 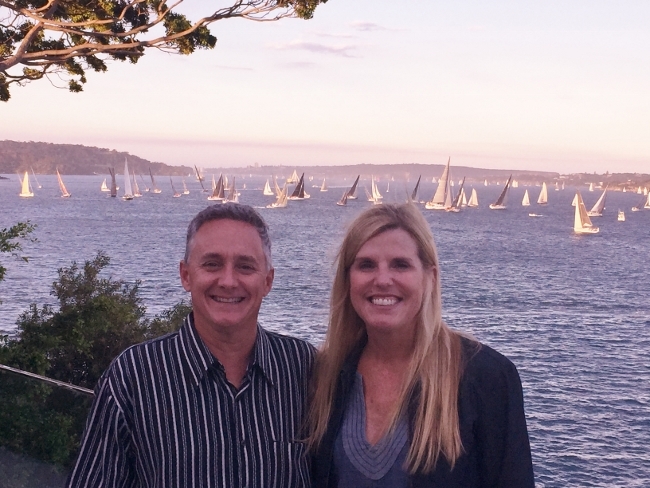 What a gorgeous evening and a great way to end our excellent Australian vacation. Thanks again to Penny at Journey Travel – you can reach her at penny@journeyearth.com.au. 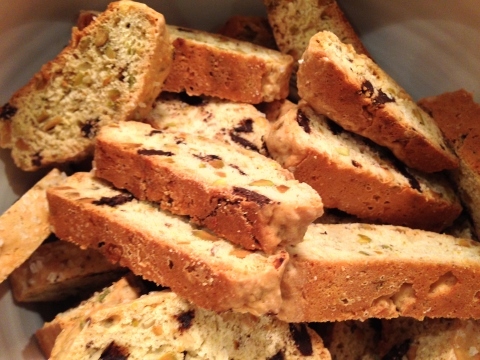 Pistachio Coconut & Chocolate Biscotti – Recipe!